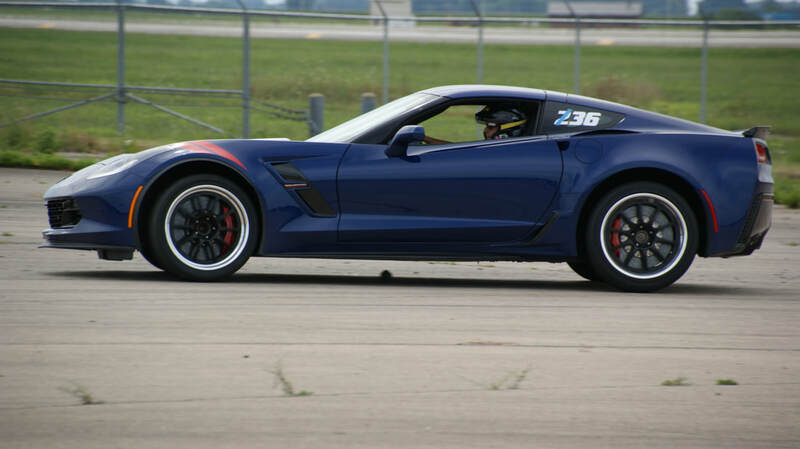 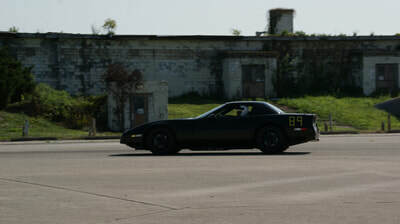 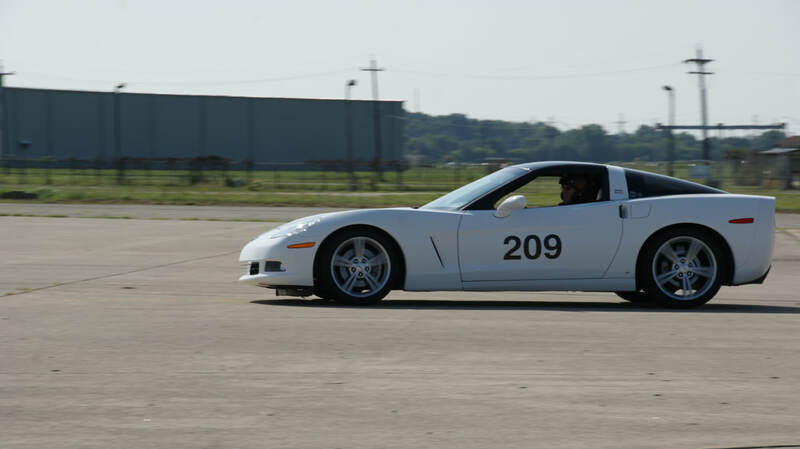 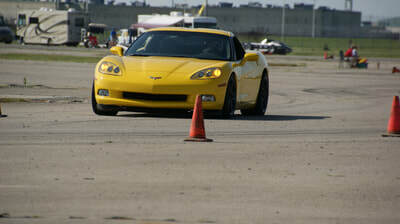 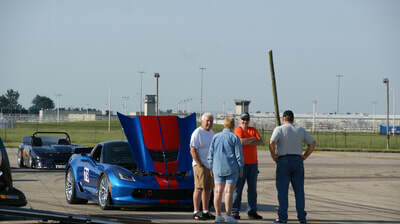 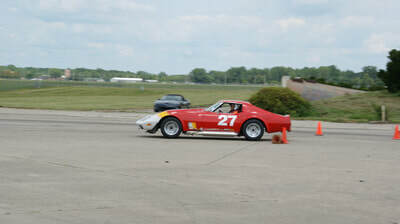 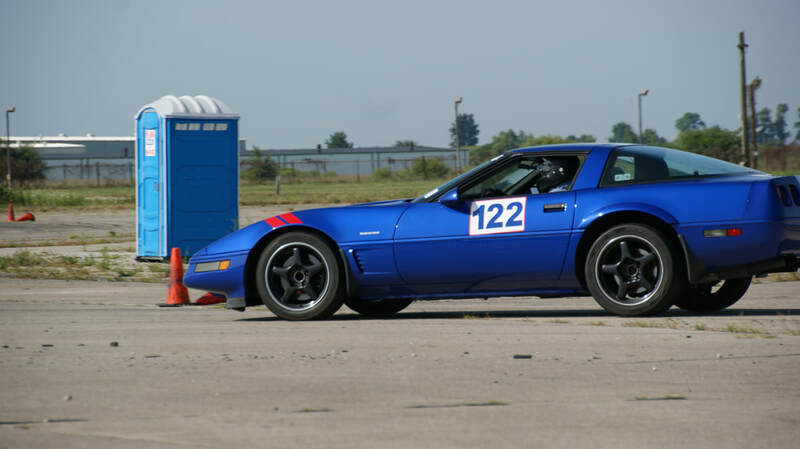 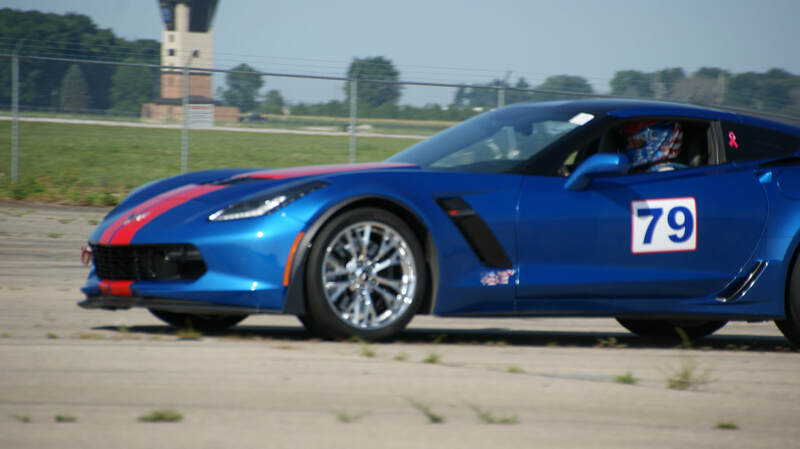 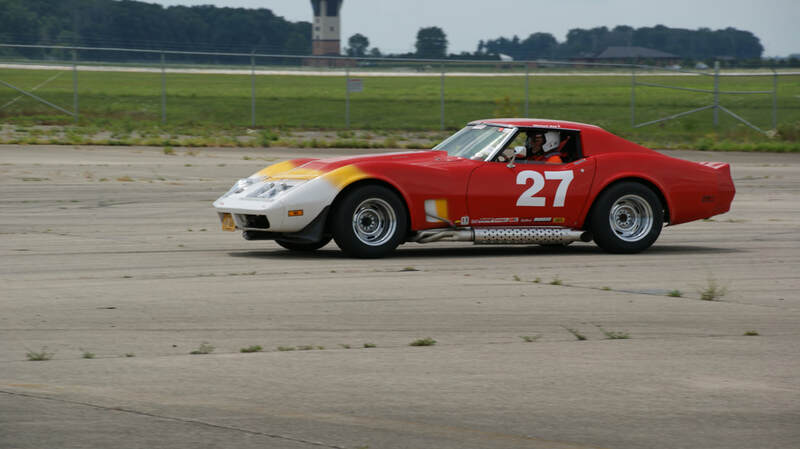 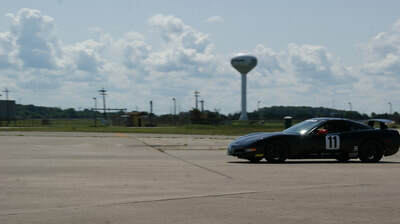 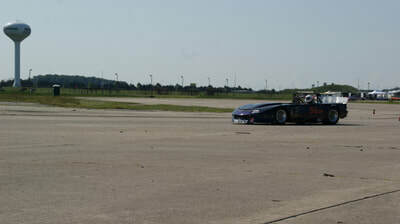 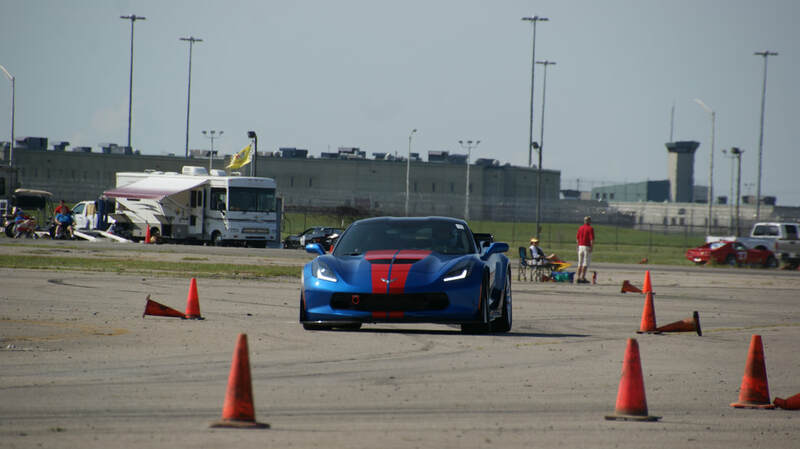 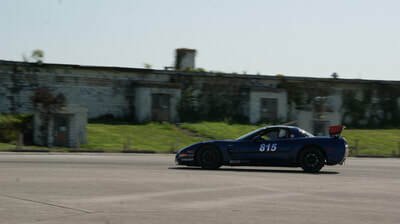 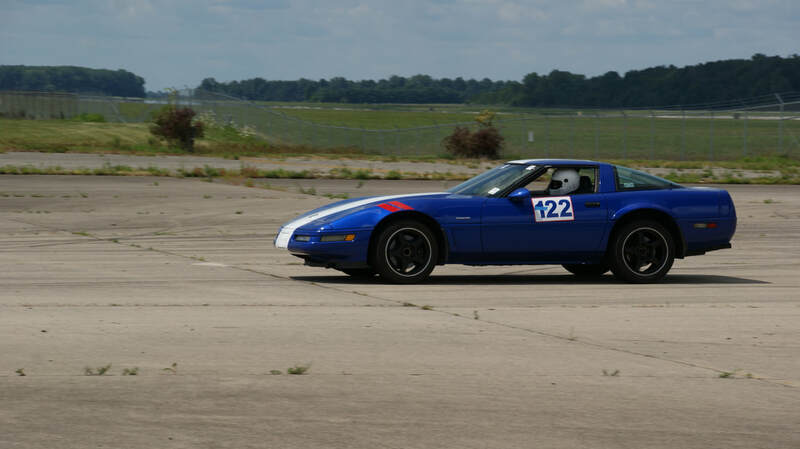 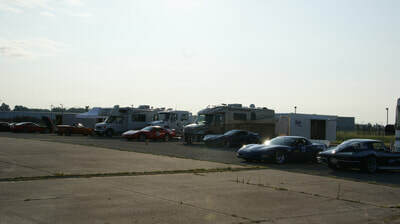 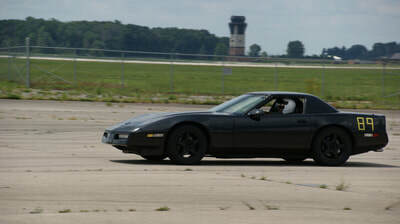 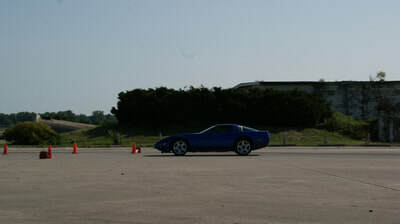 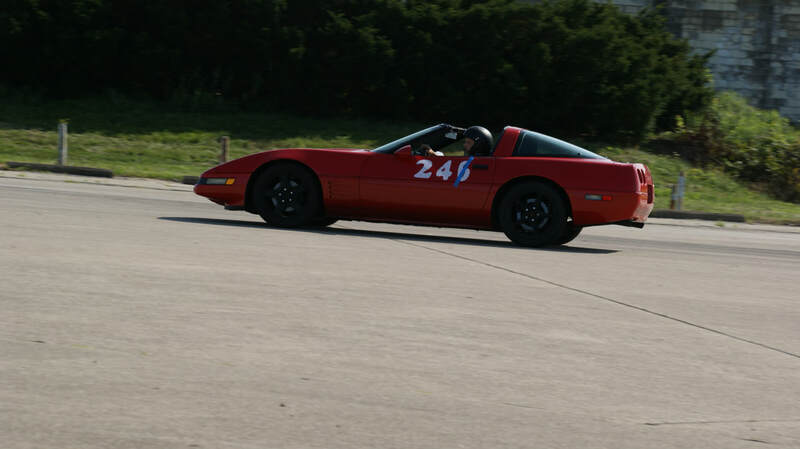 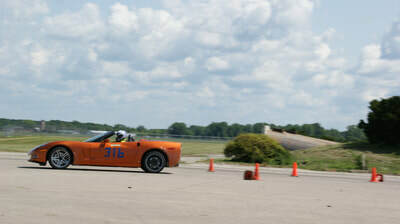 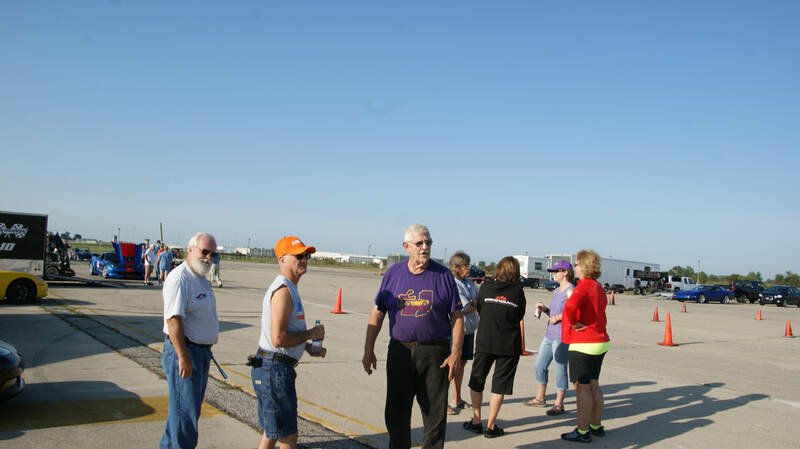 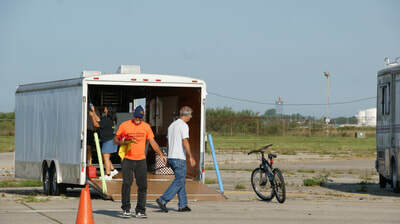 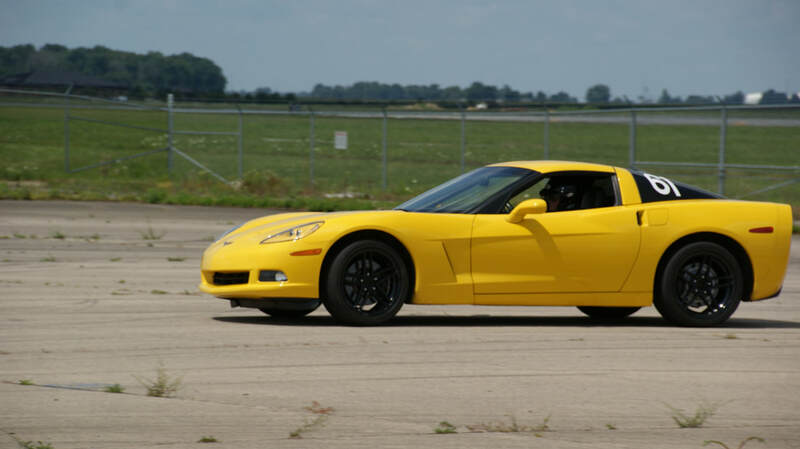 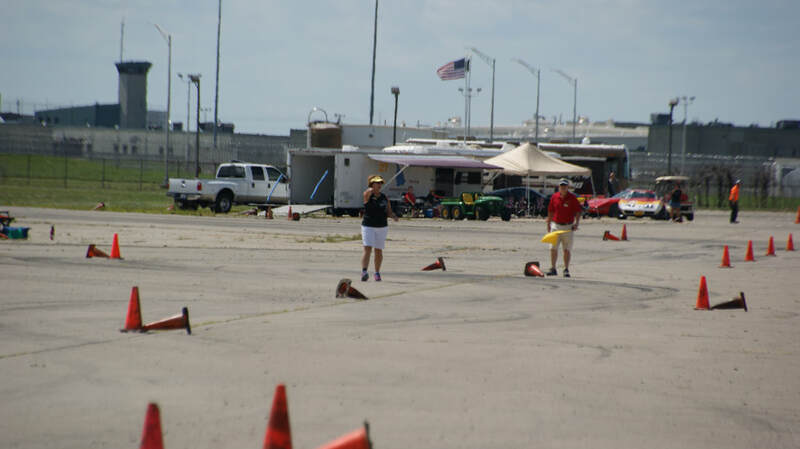 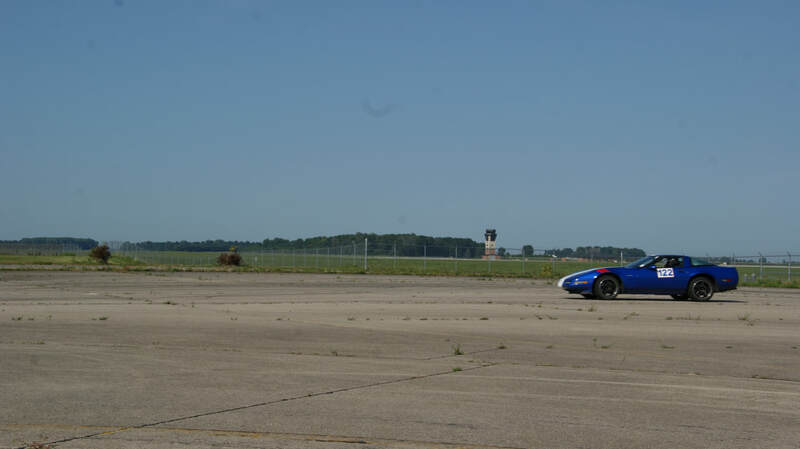 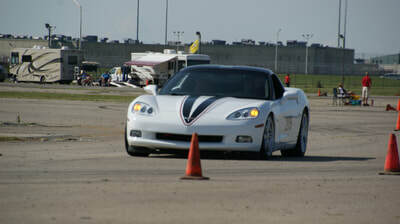 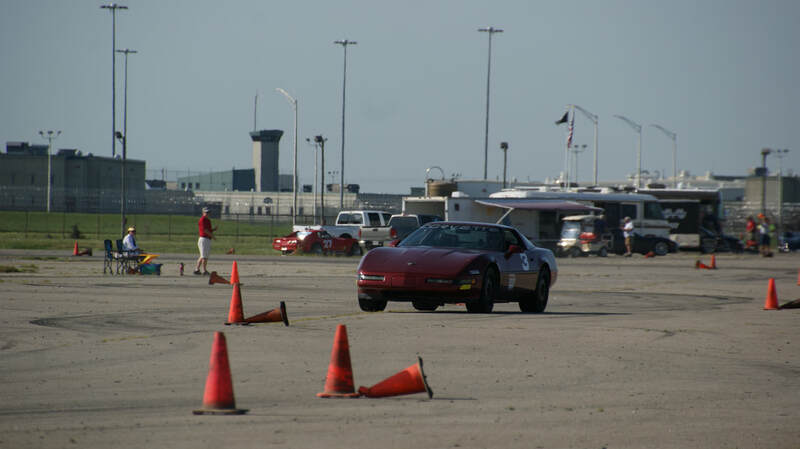 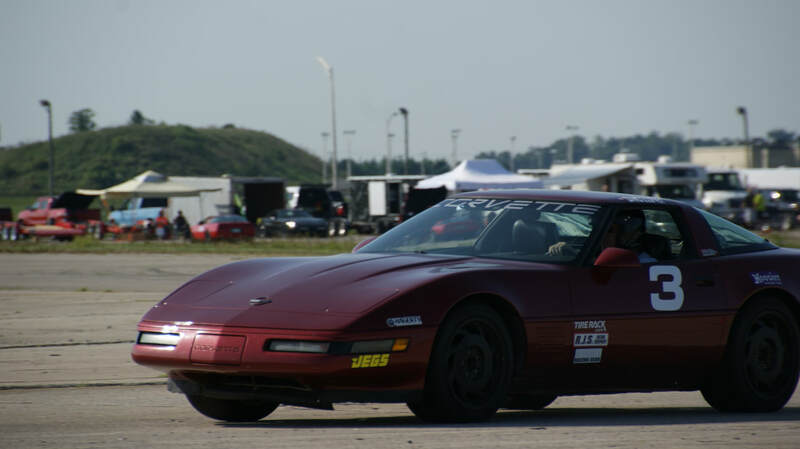 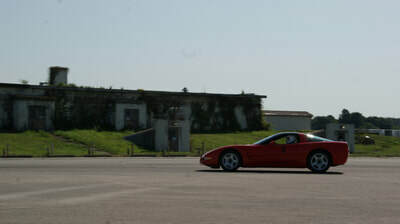 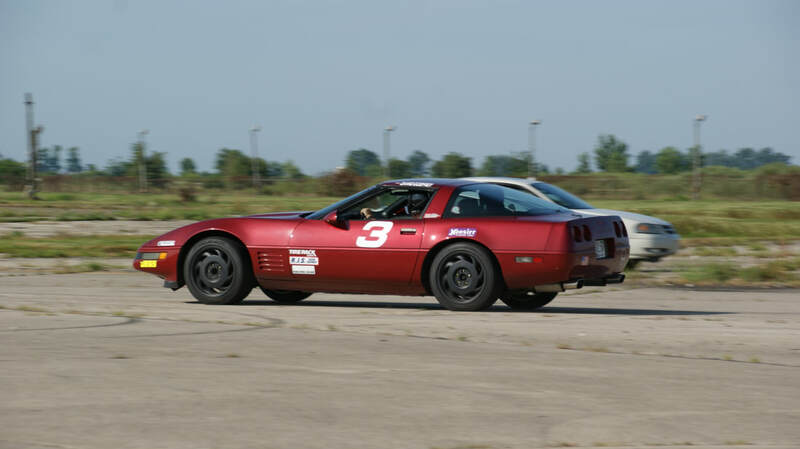 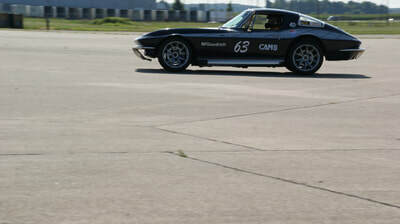 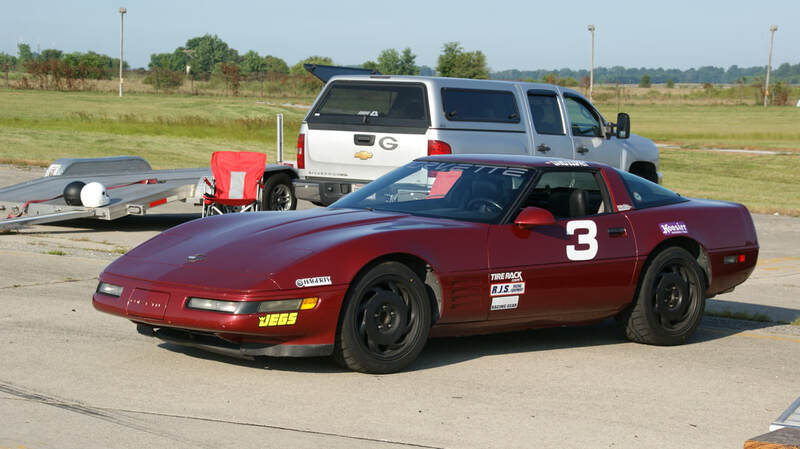 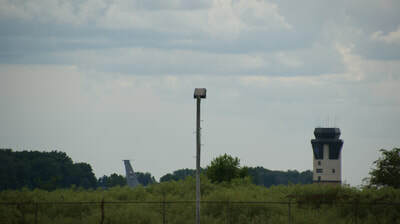 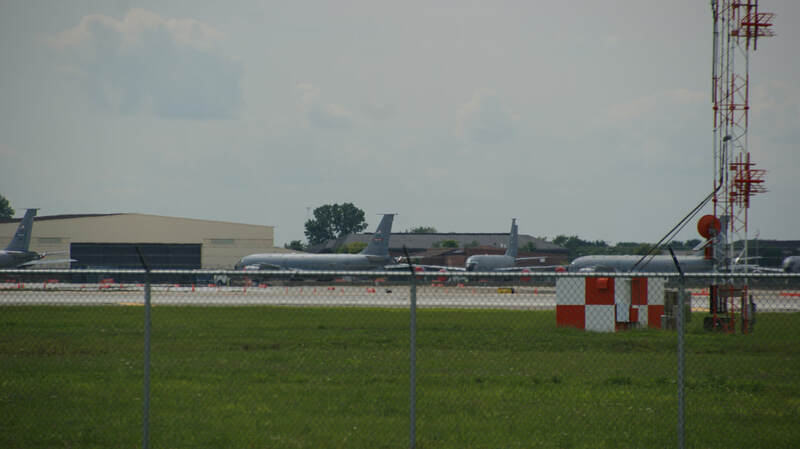 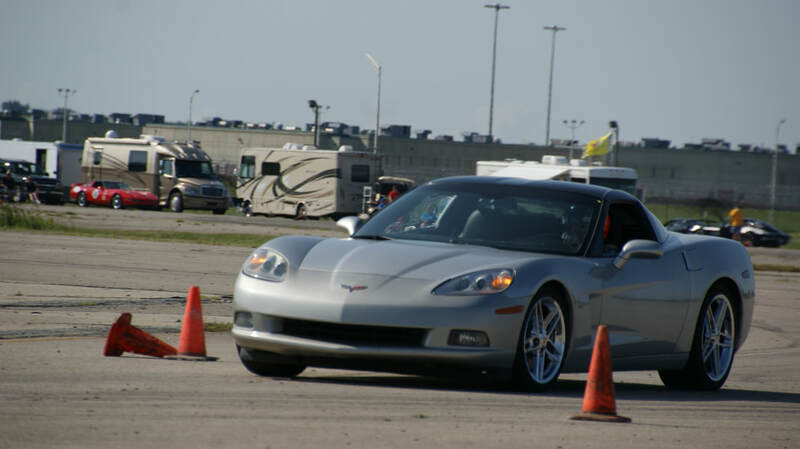 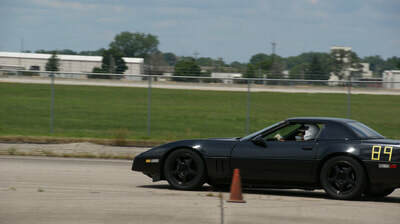 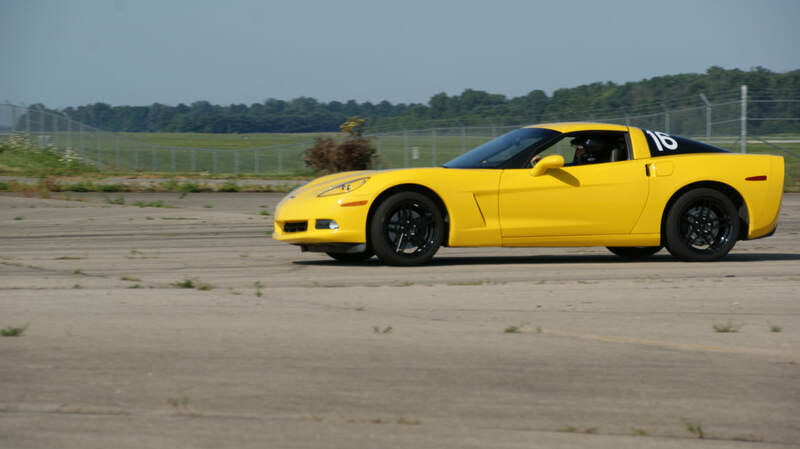 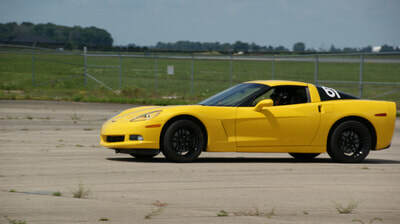 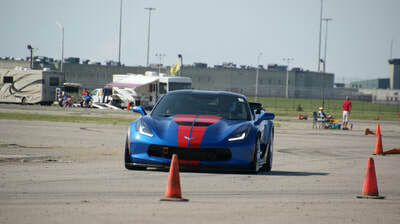 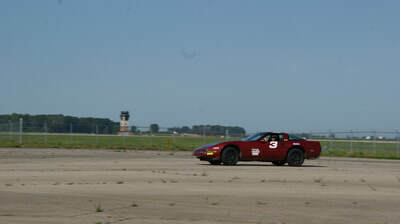 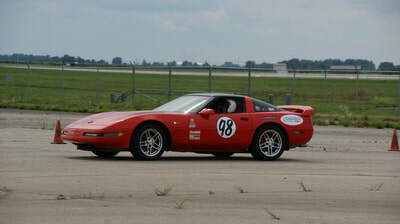 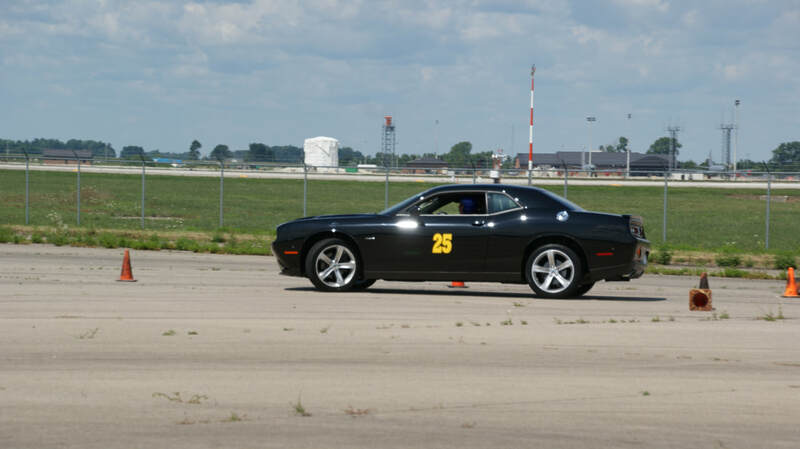 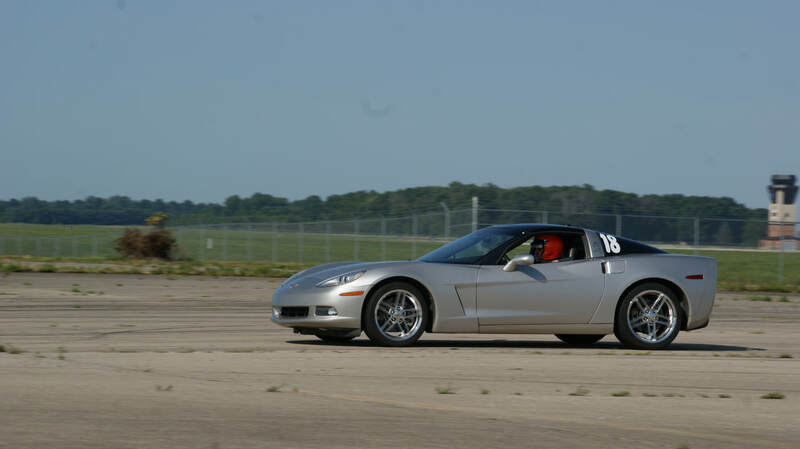 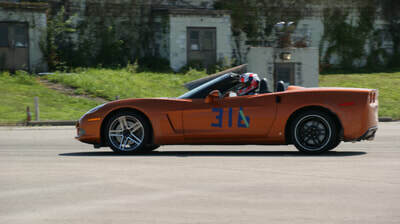 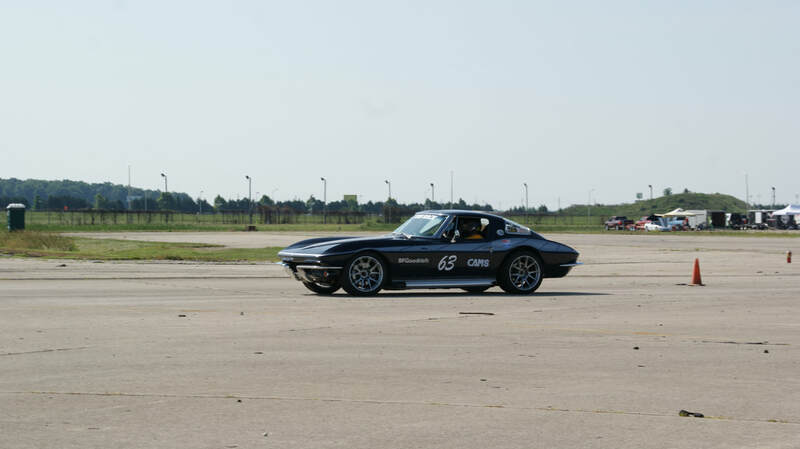 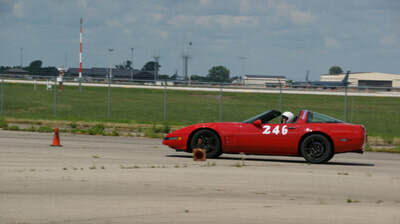 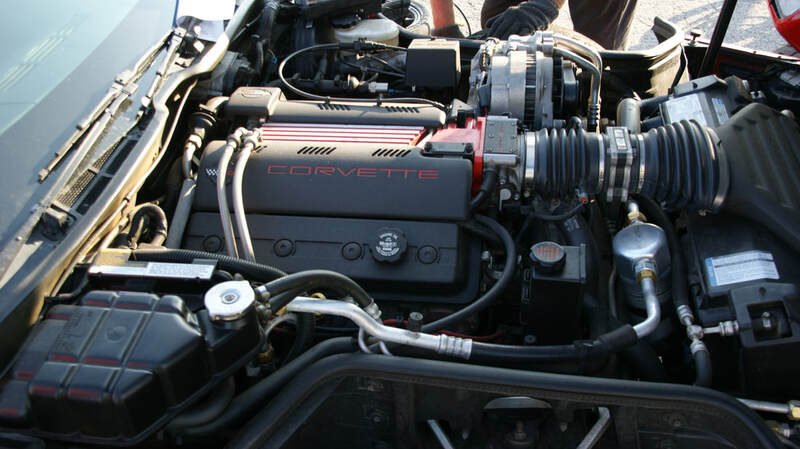 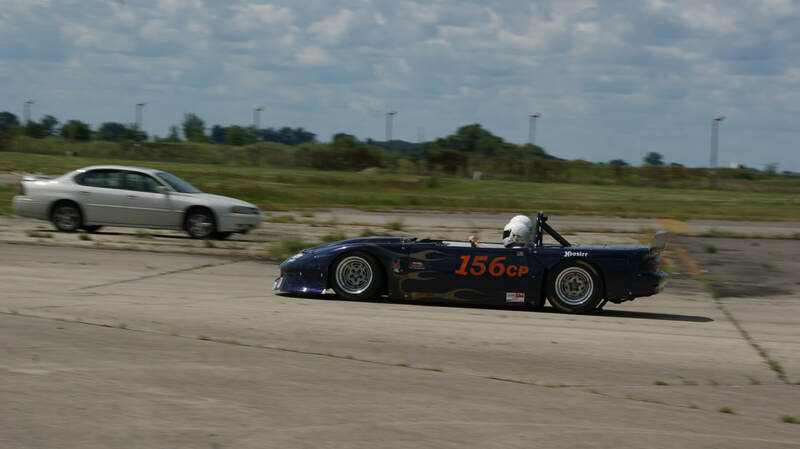 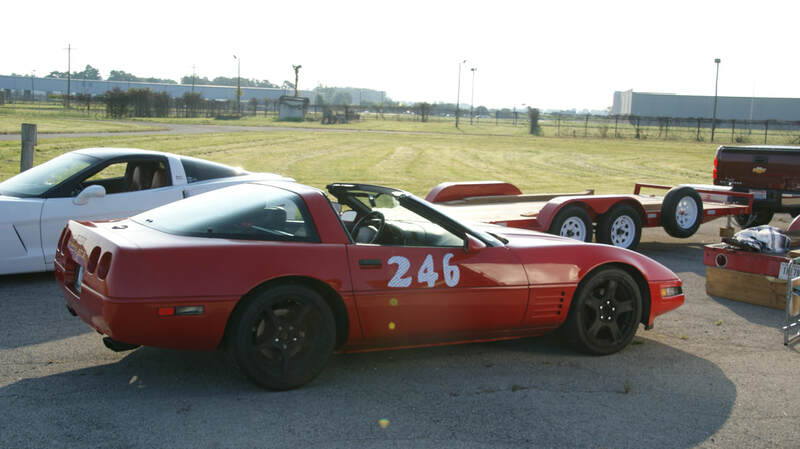 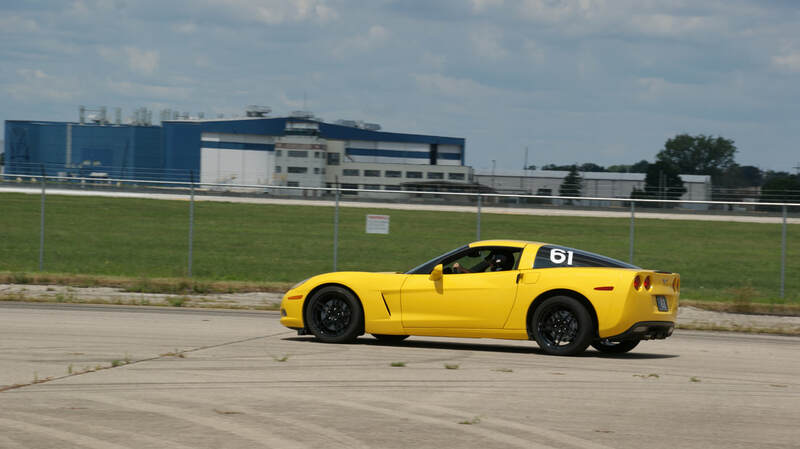 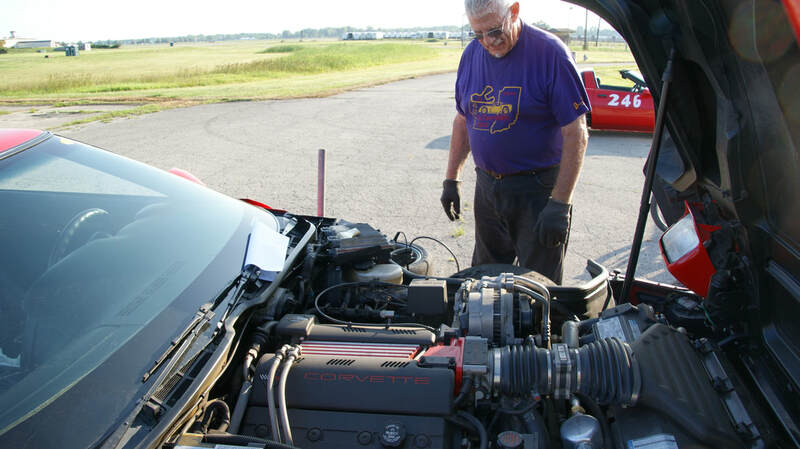 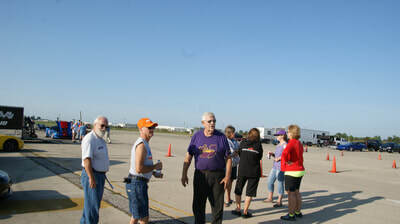 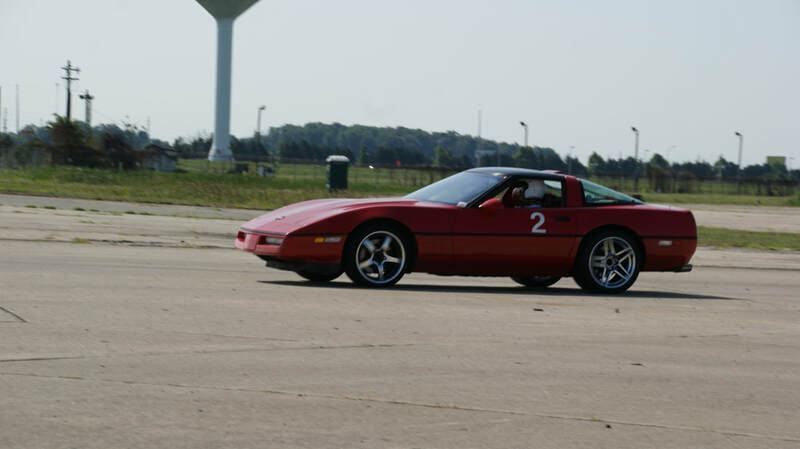 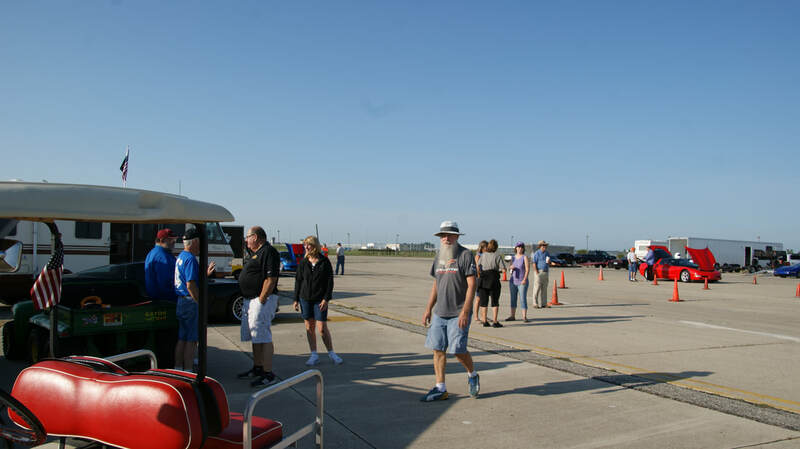 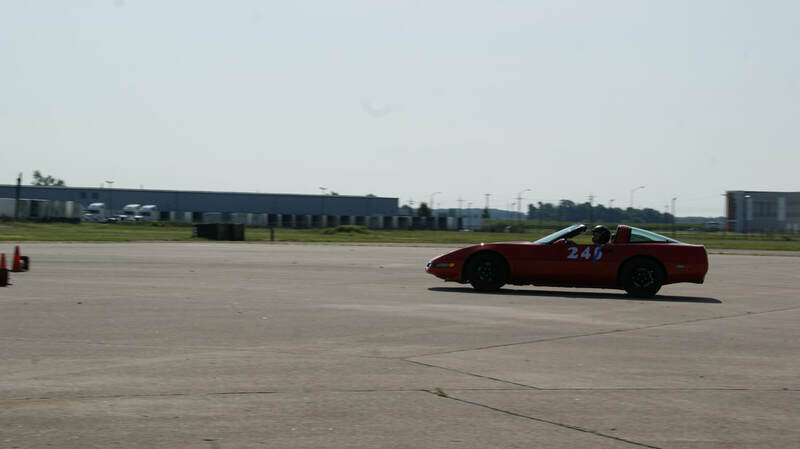 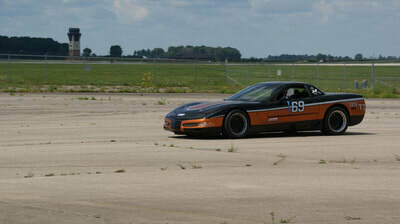 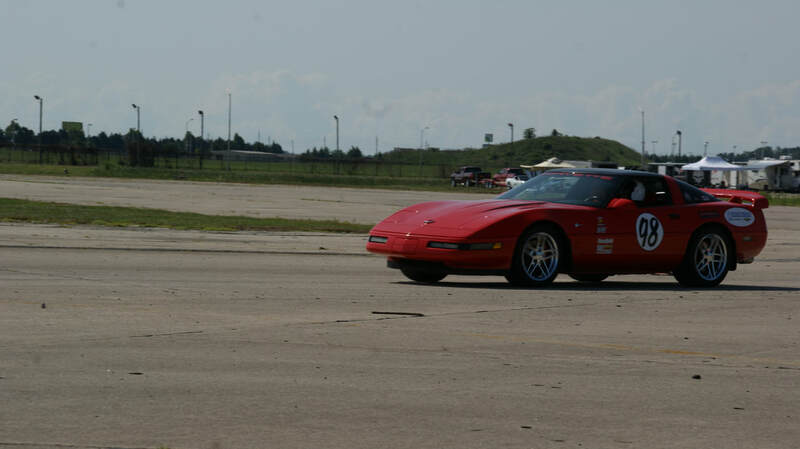 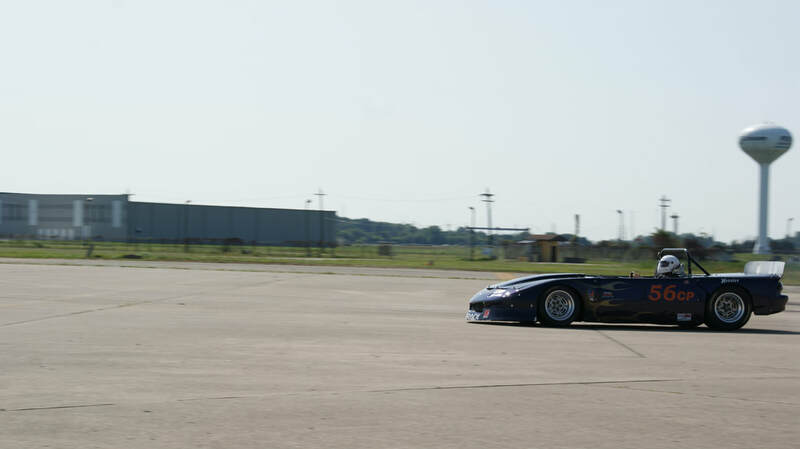 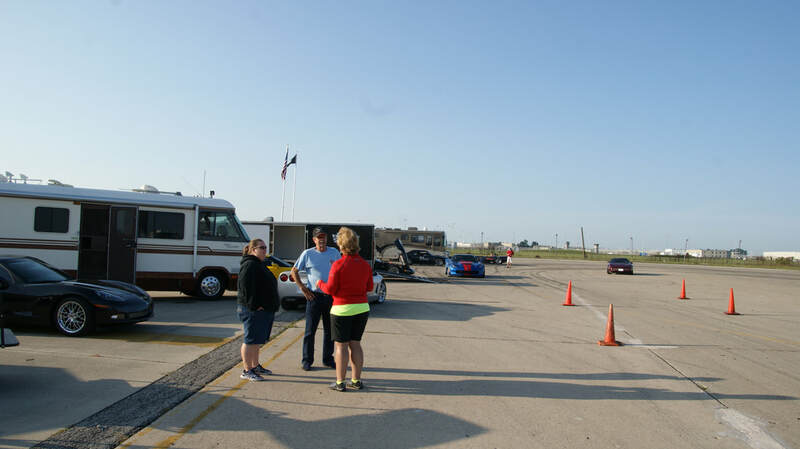 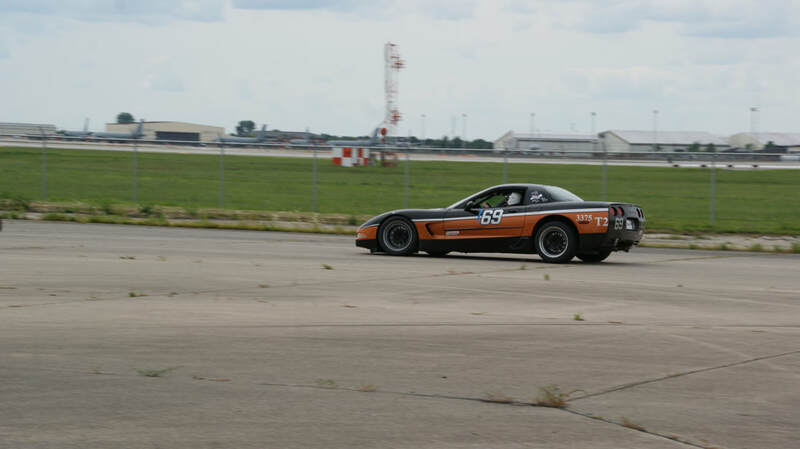 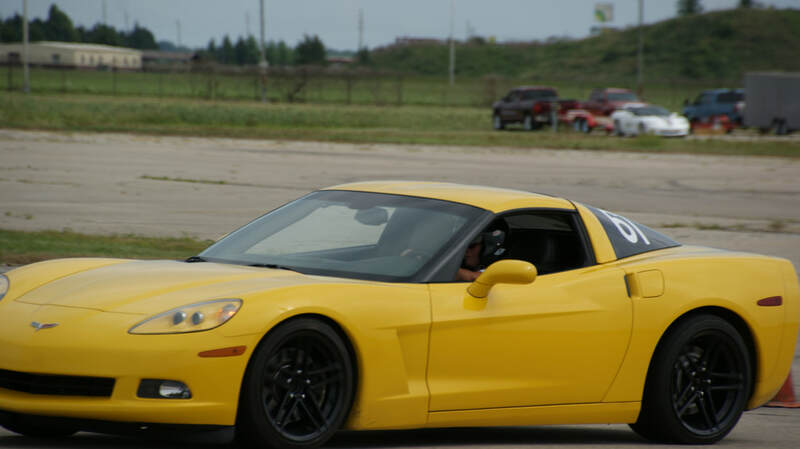 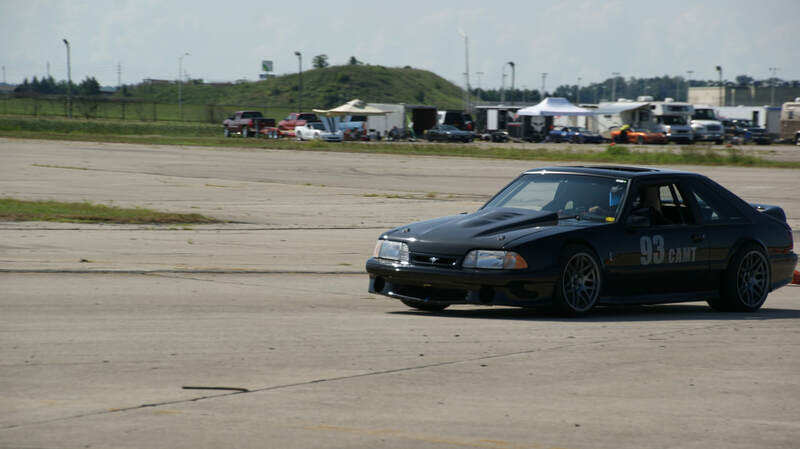 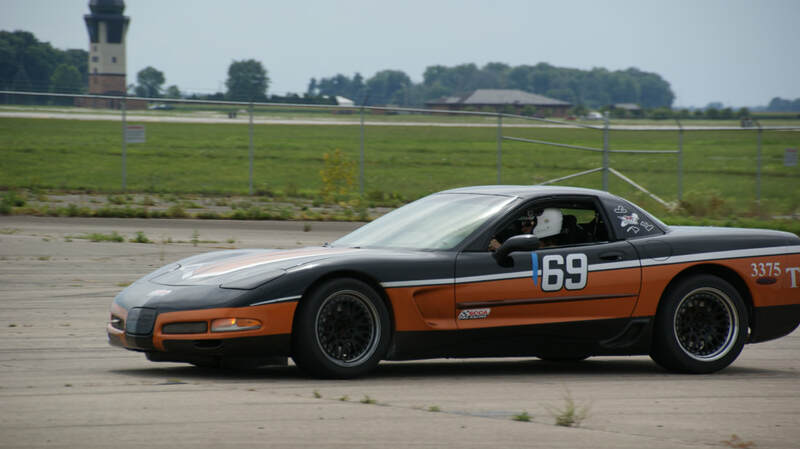 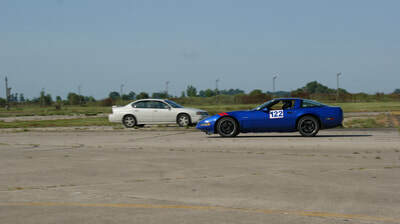 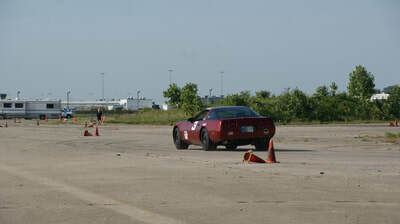 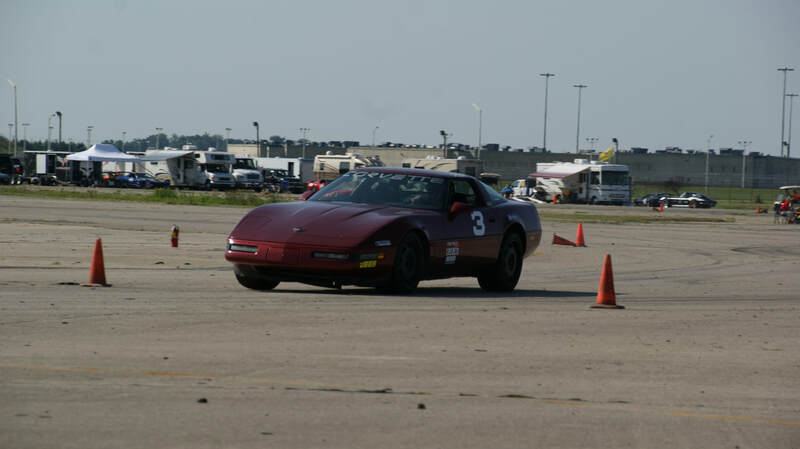 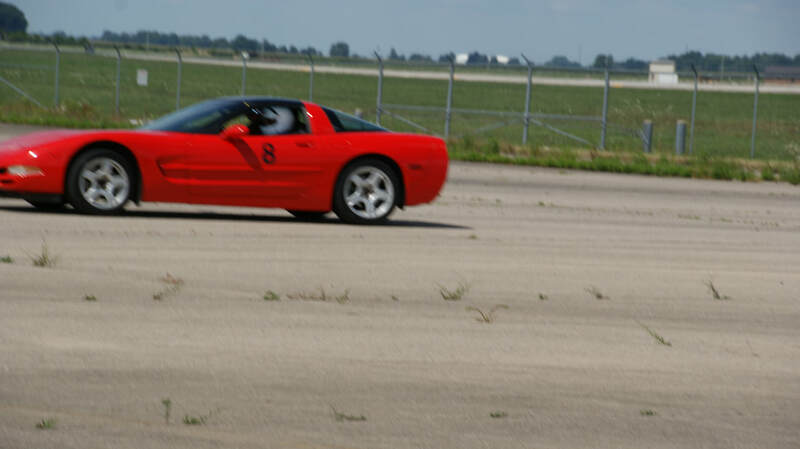 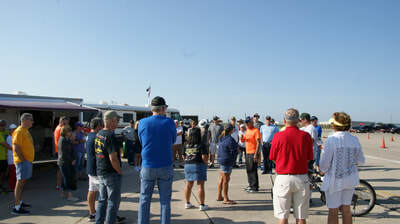 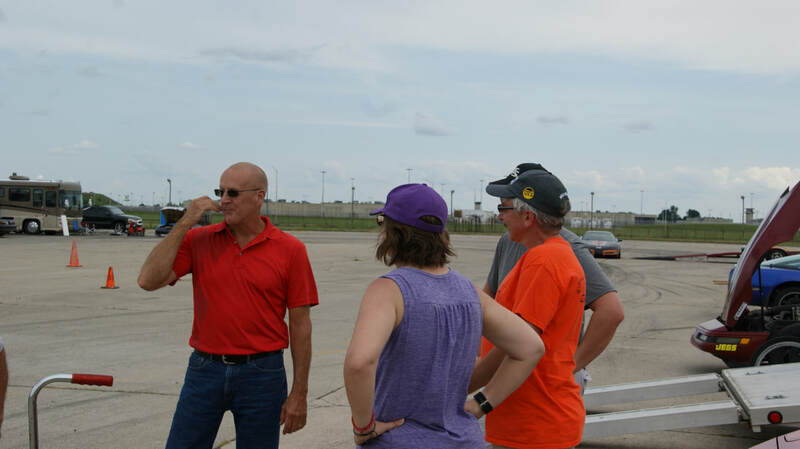 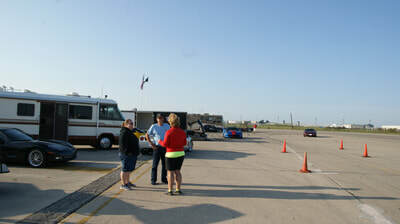 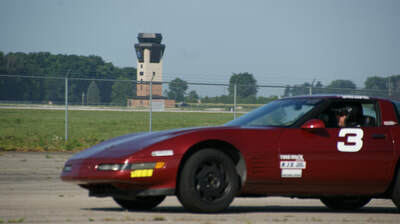 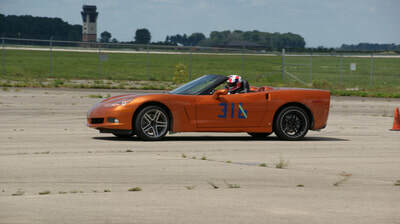 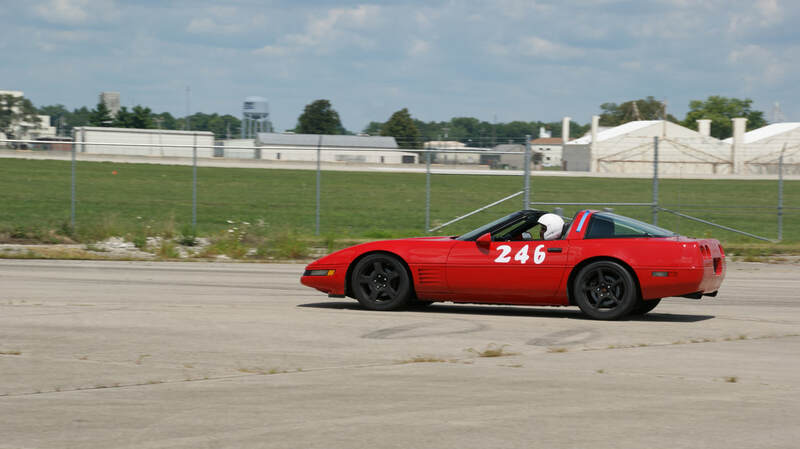 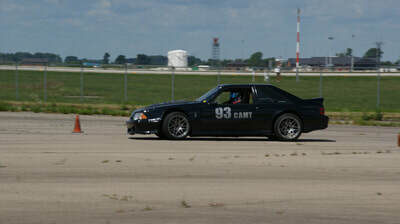 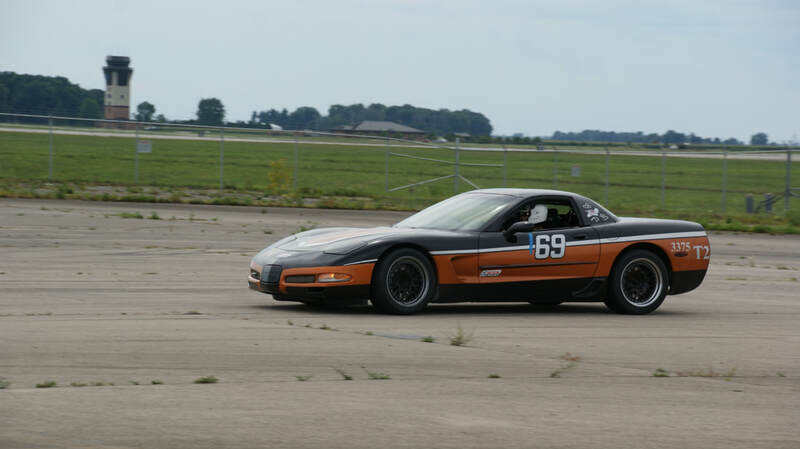 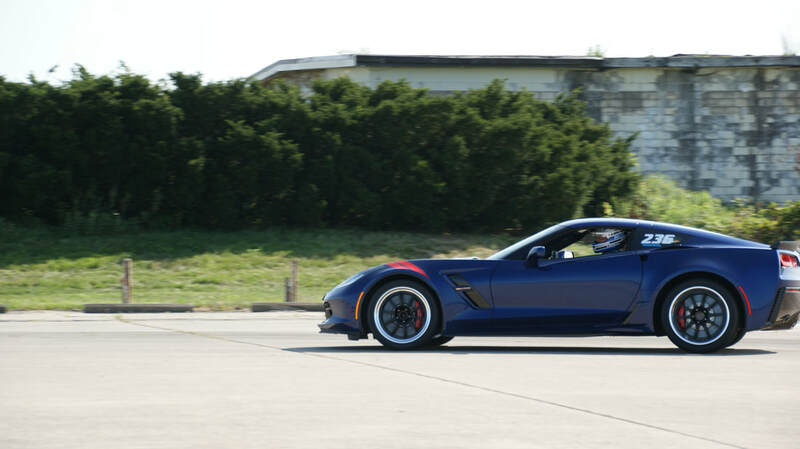 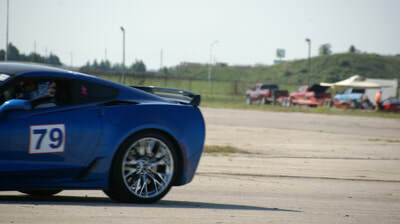 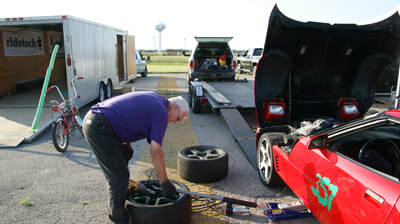 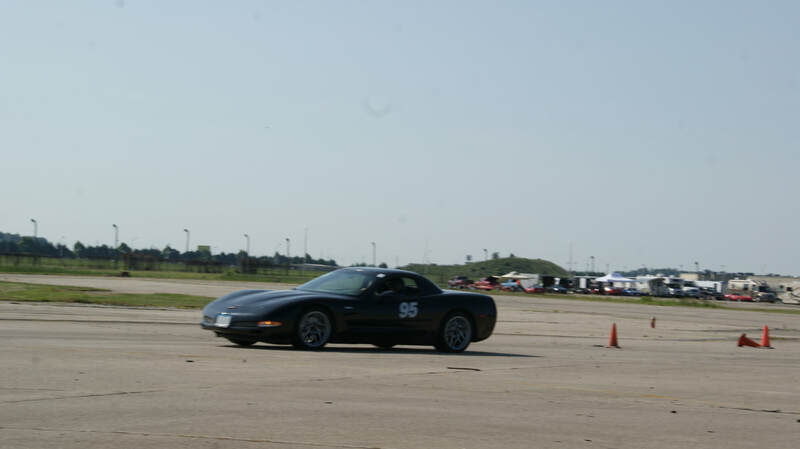 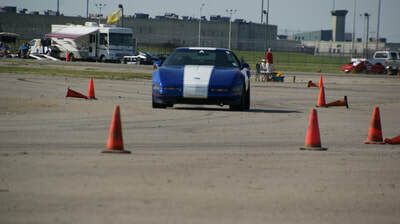 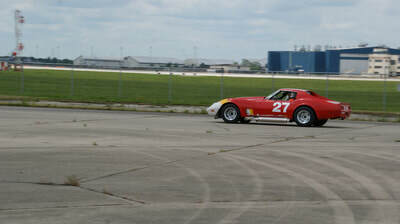 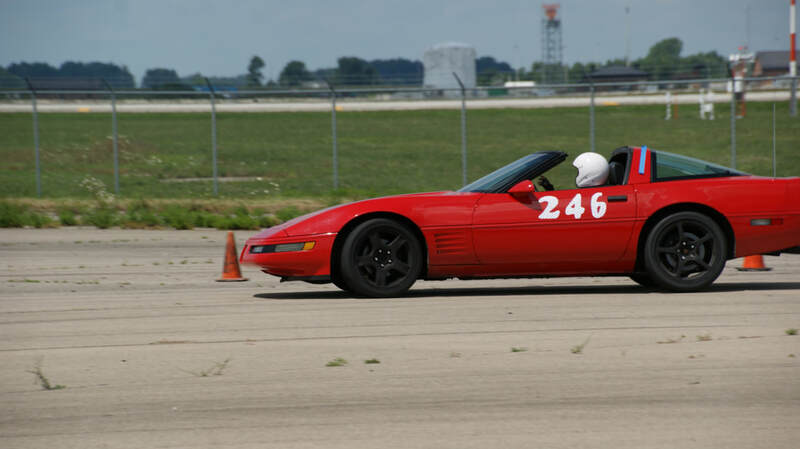 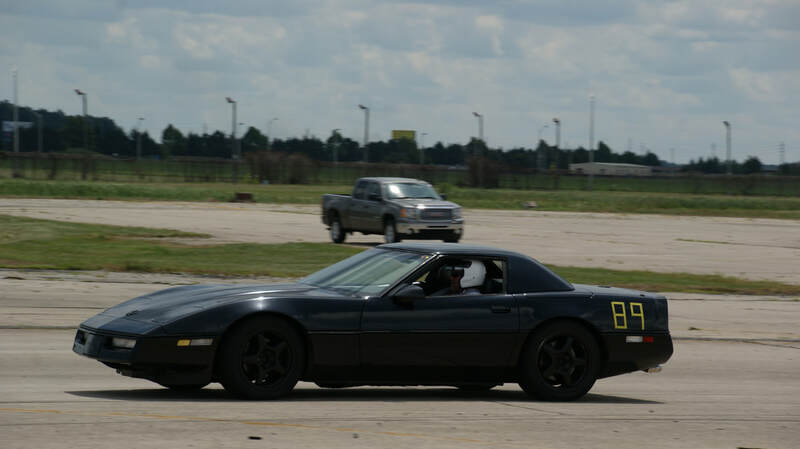 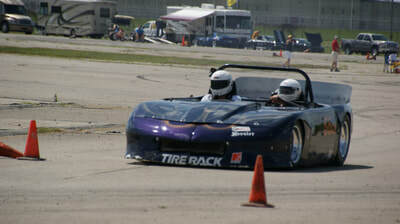 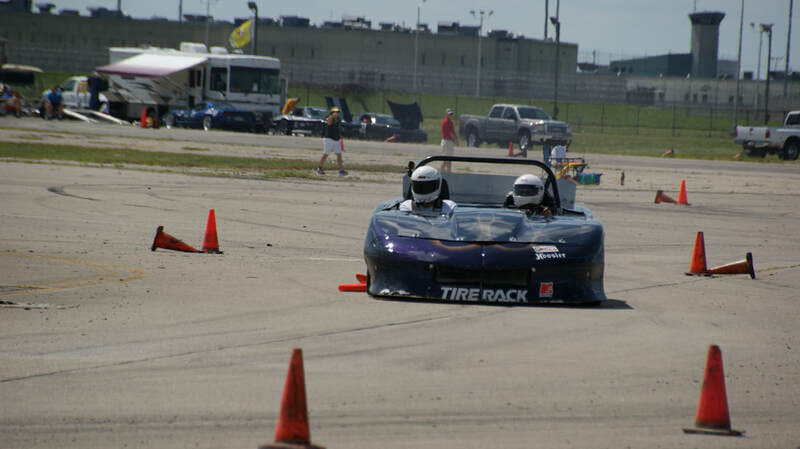 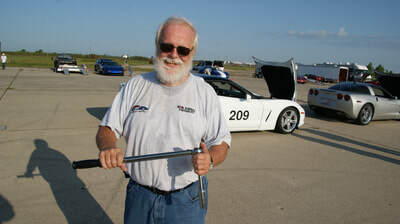 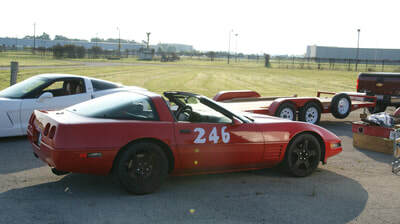 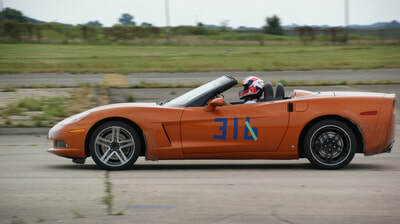 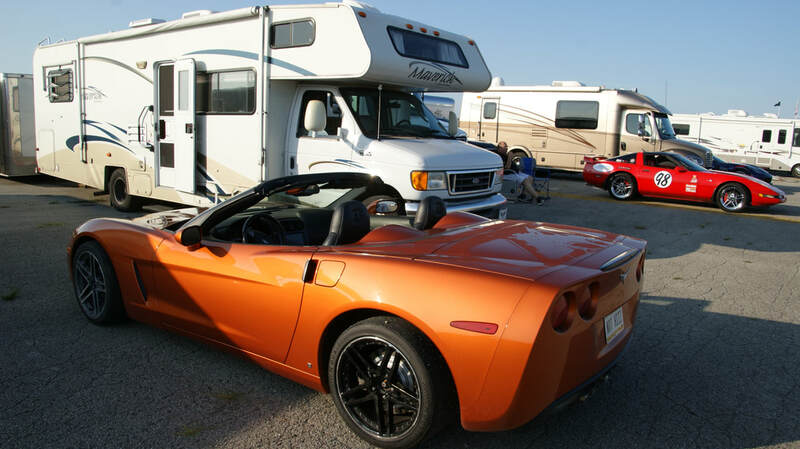 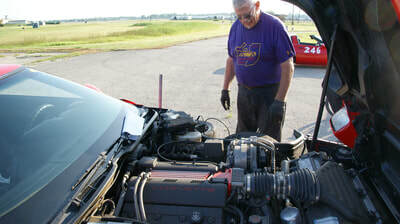 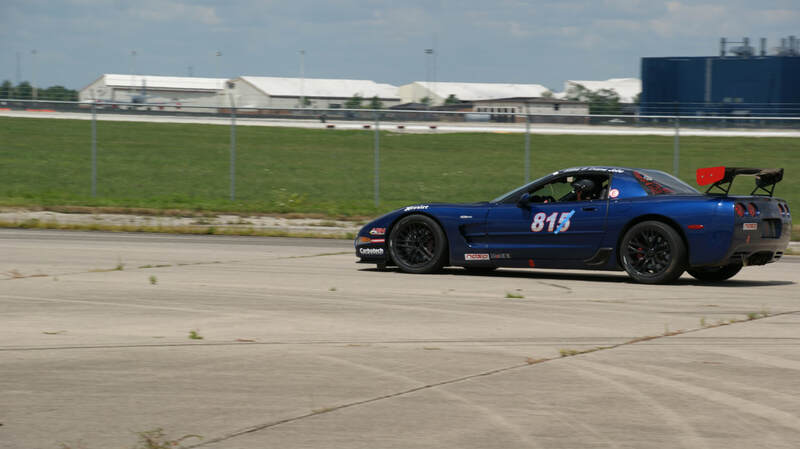 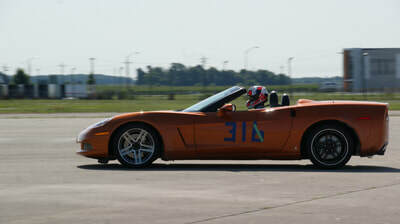 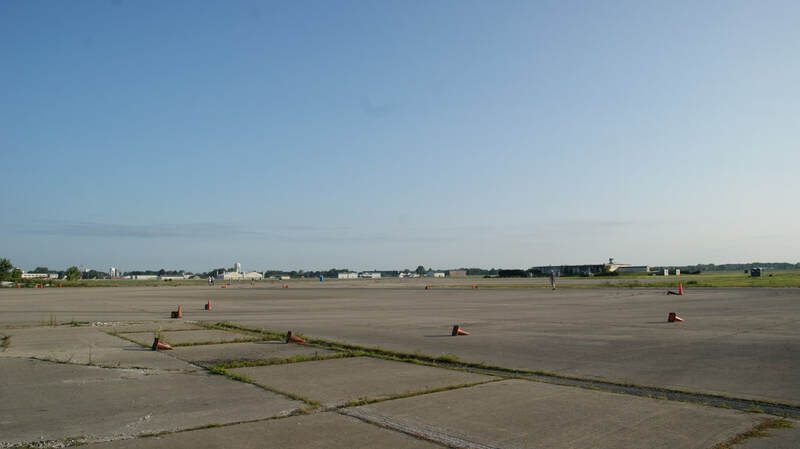 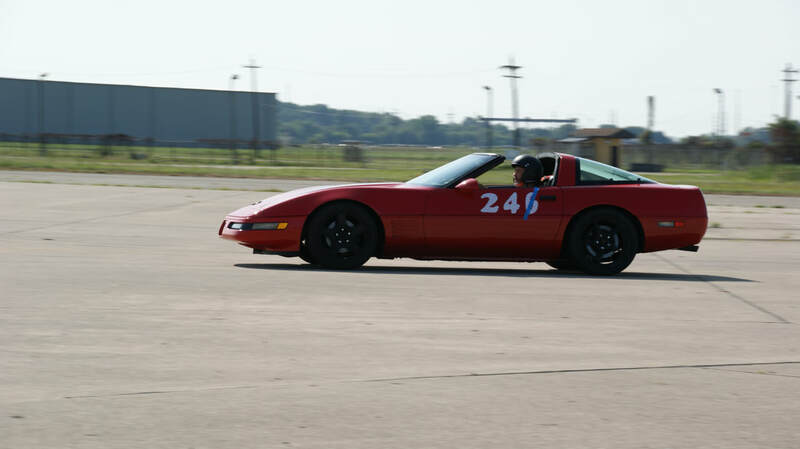 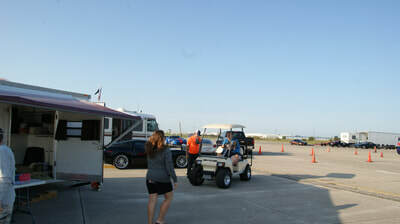 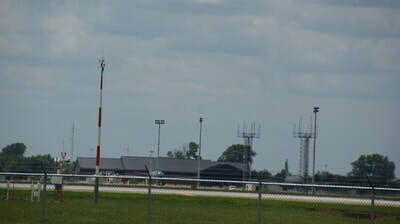 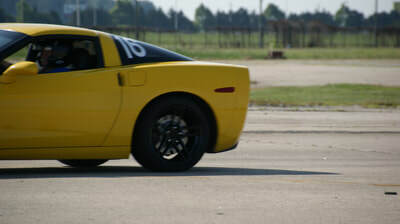 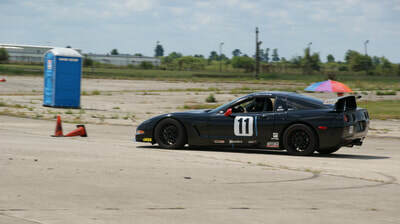 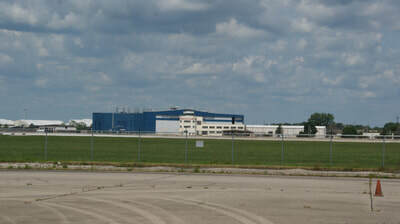 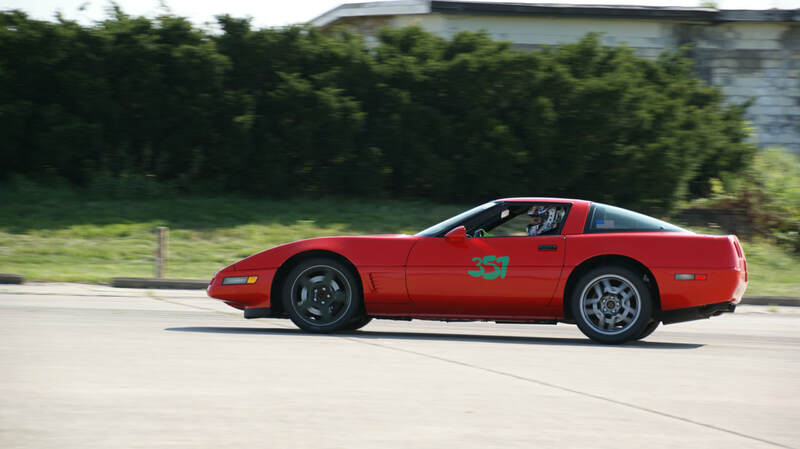 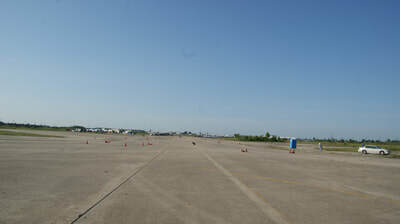 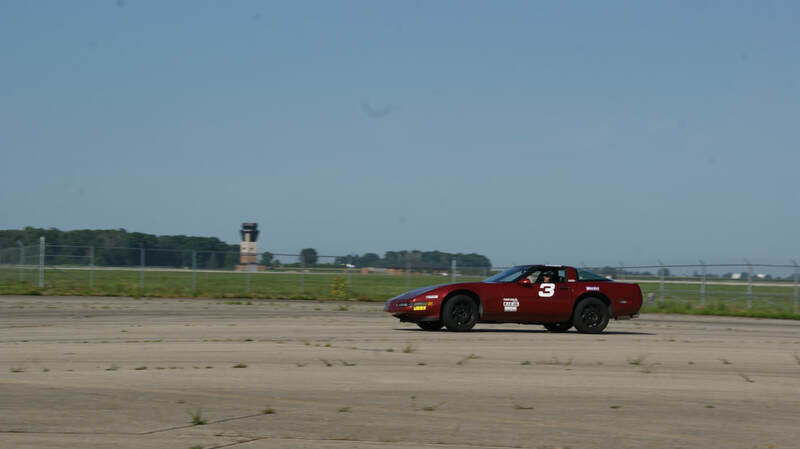 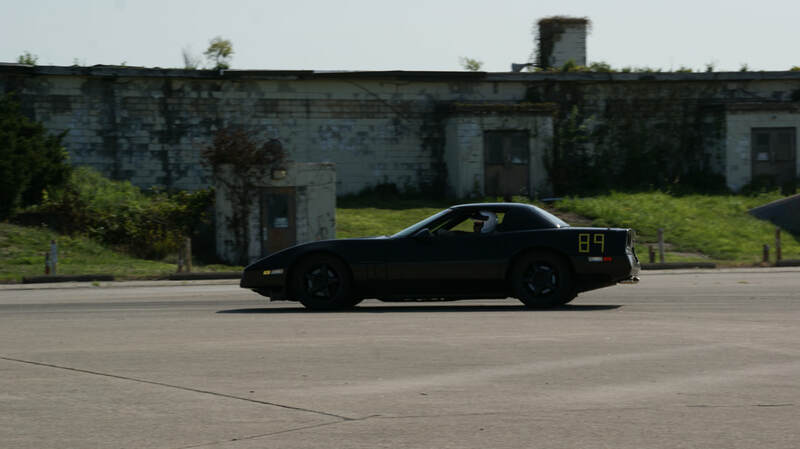 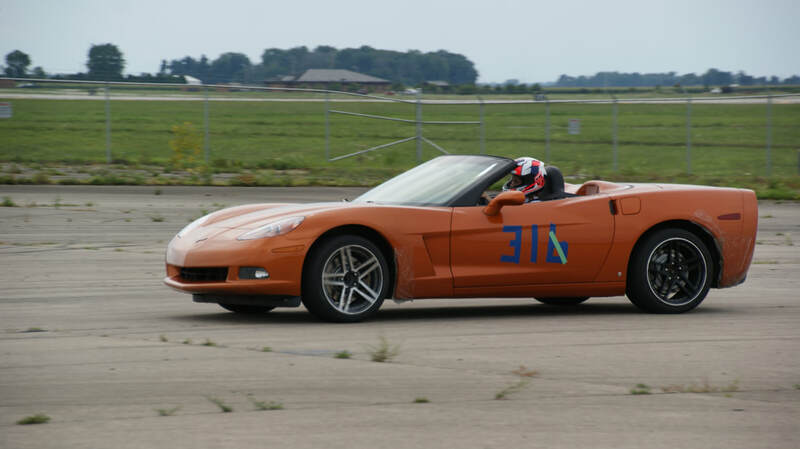 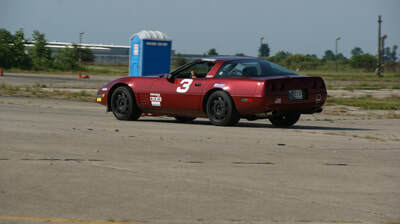 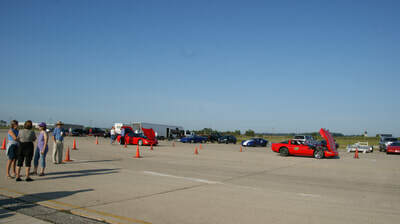 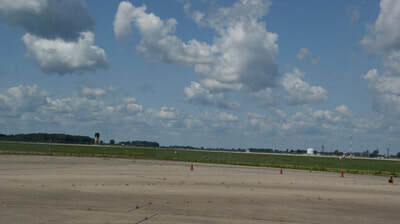 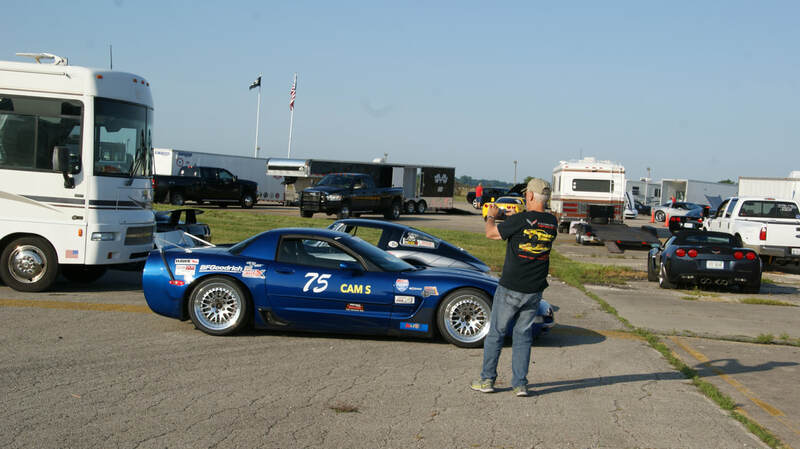 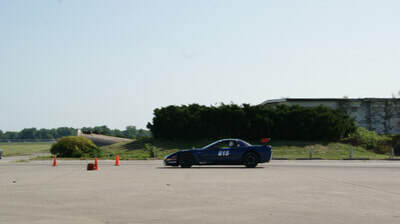 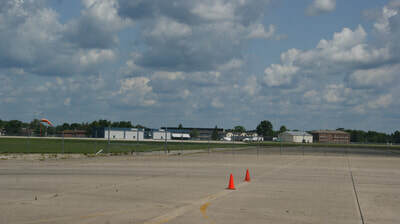 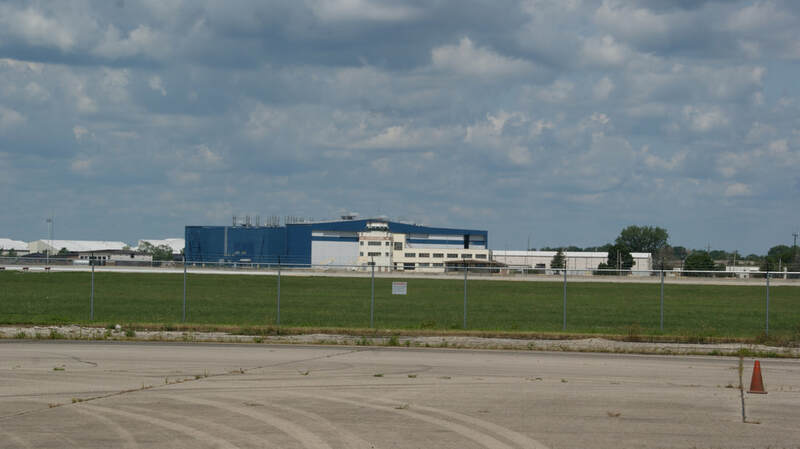 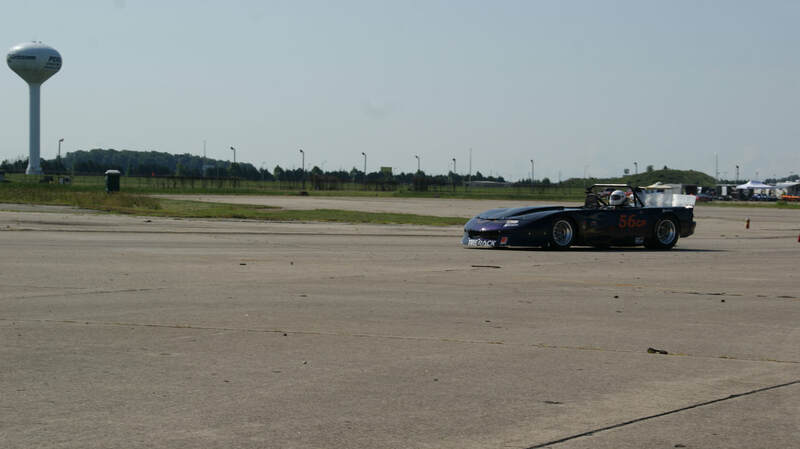 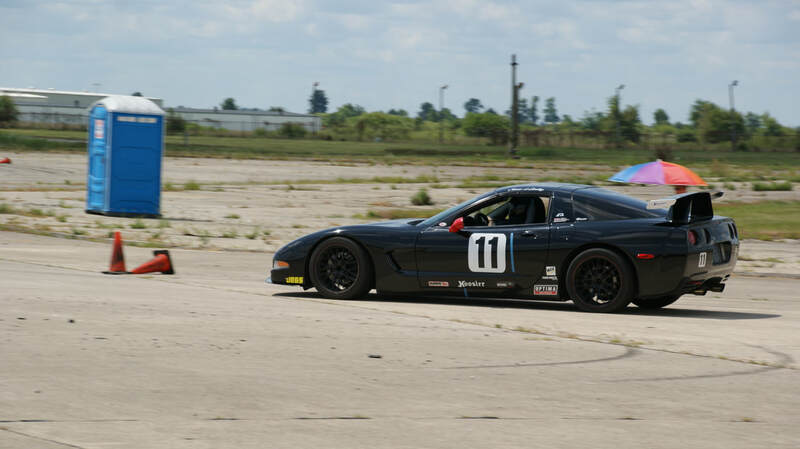 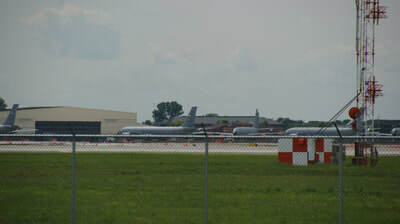 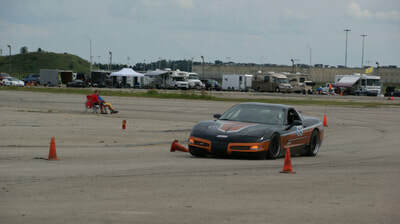 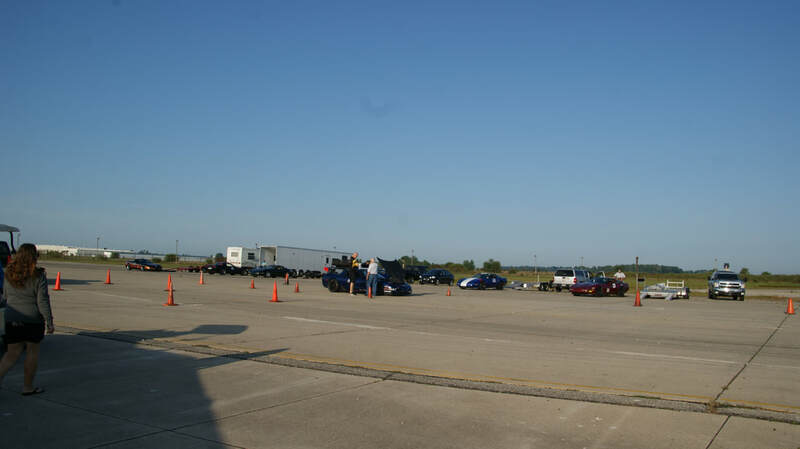 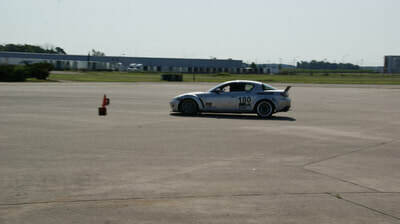 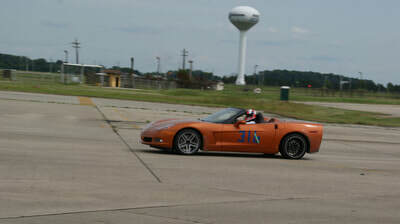 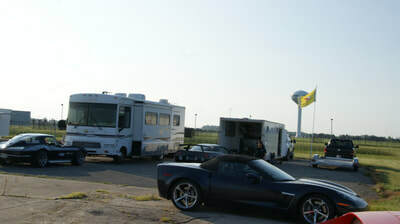 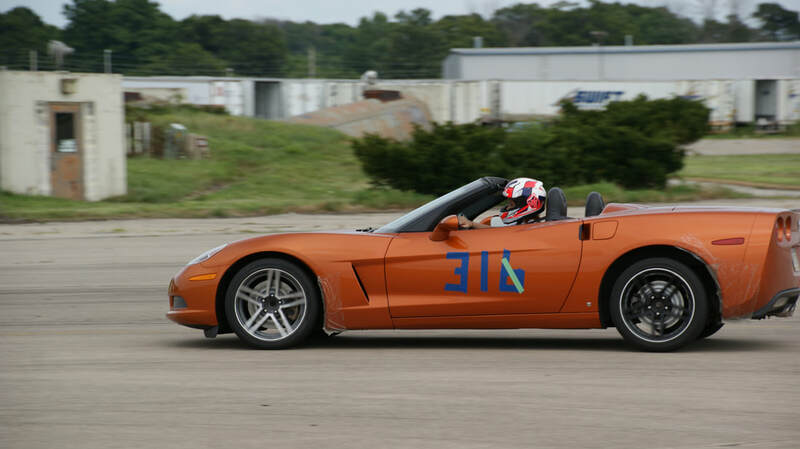 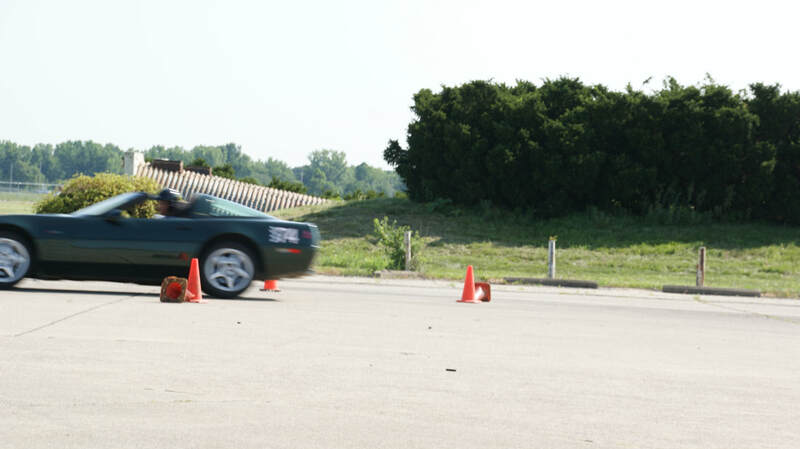 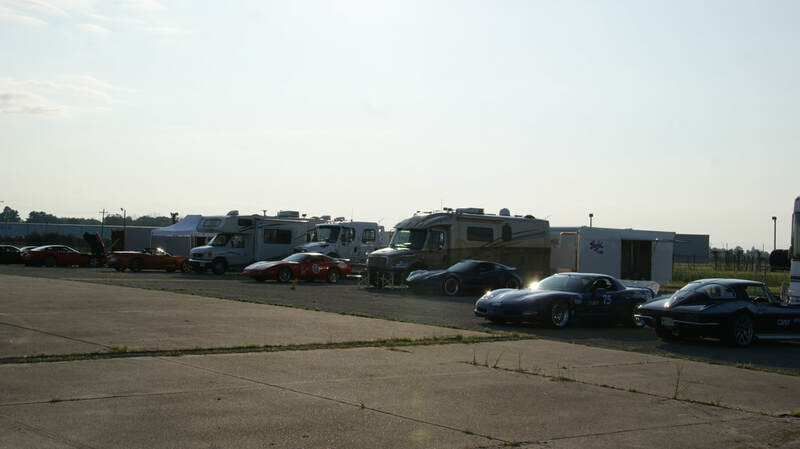 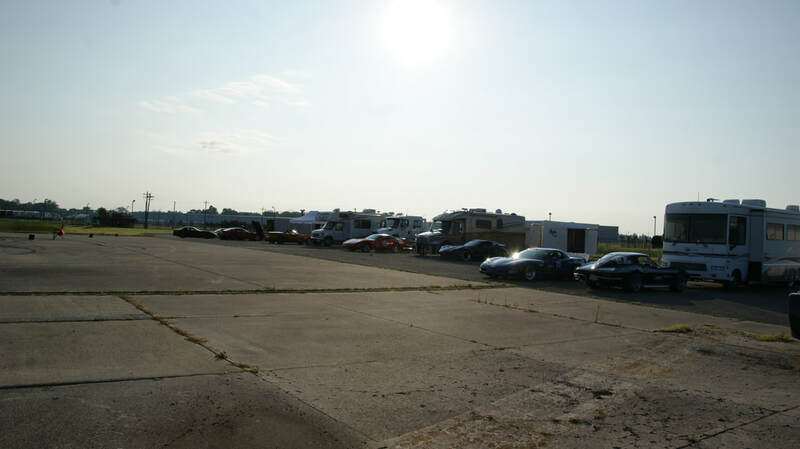 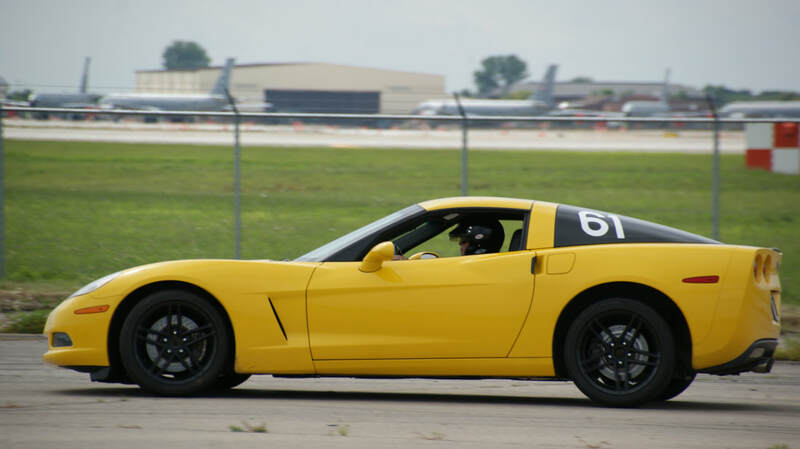 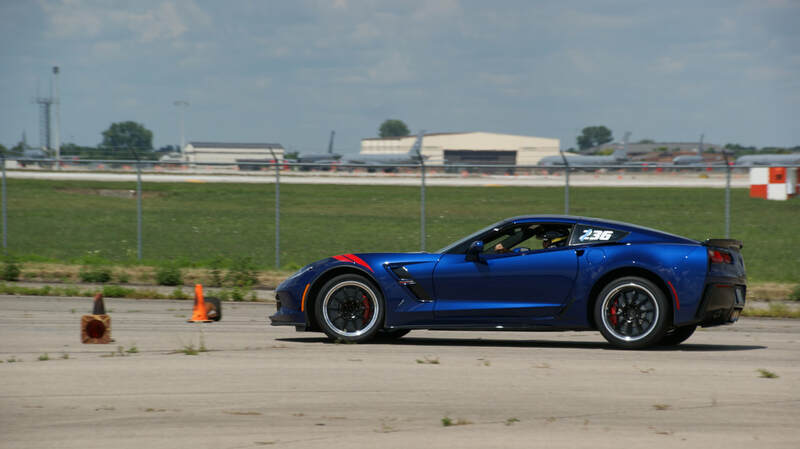 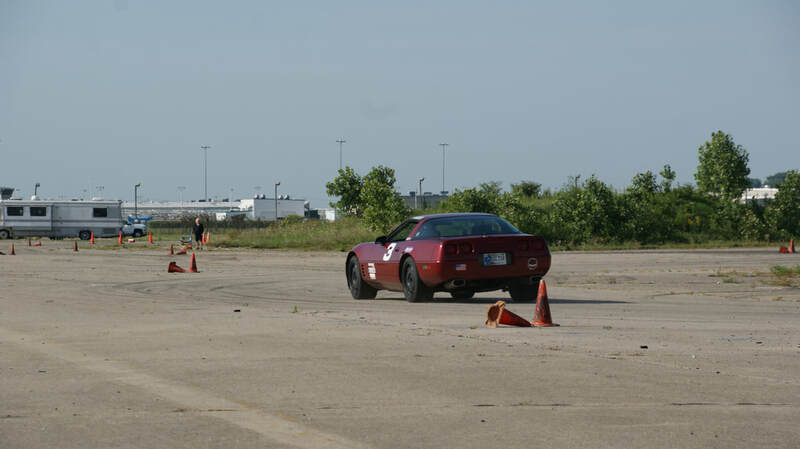 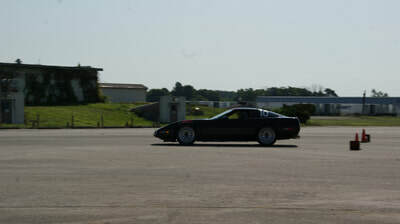 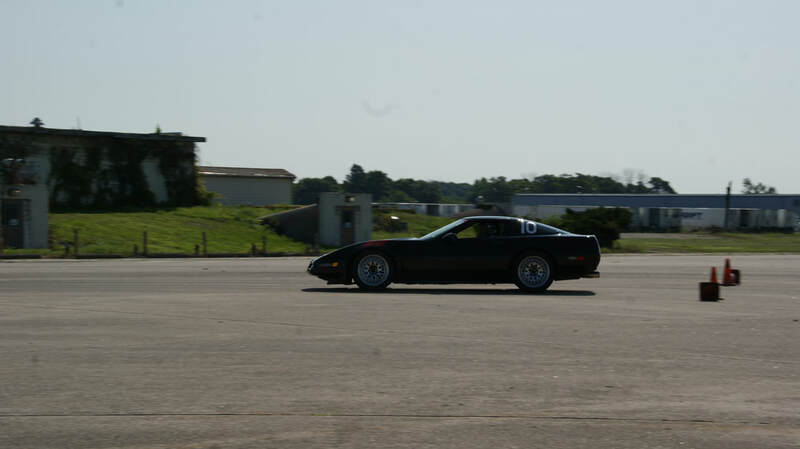 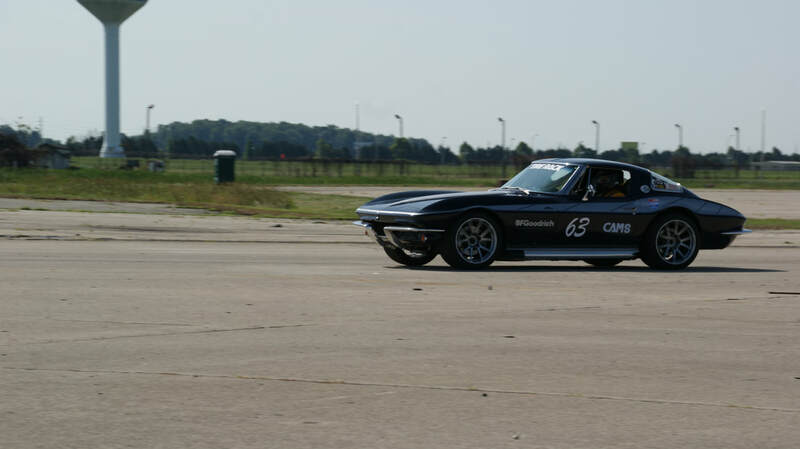 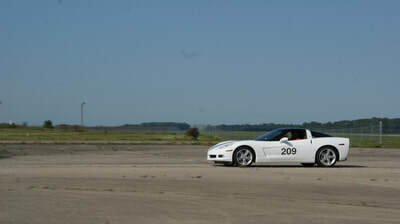 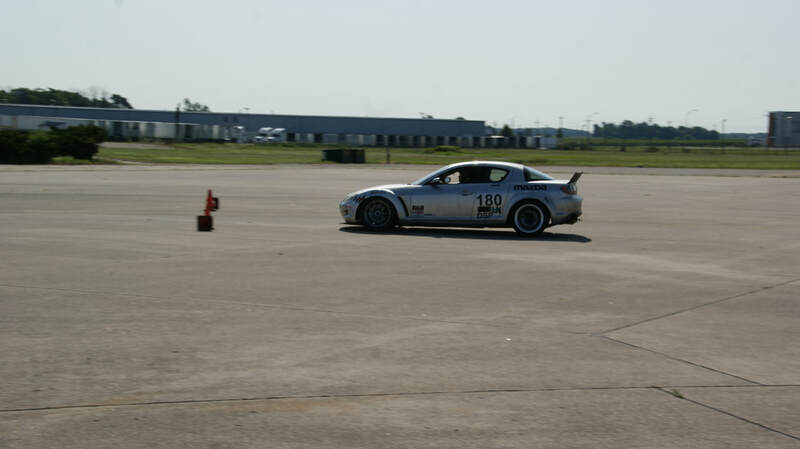 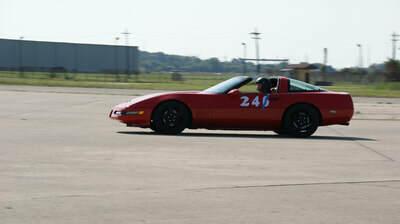 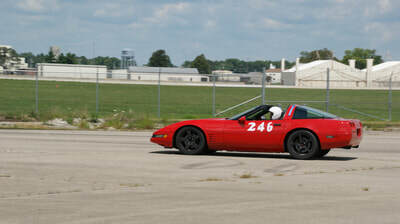 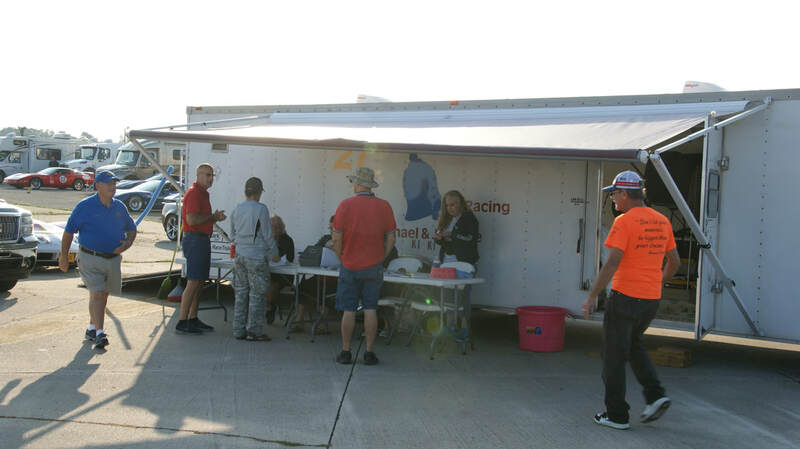 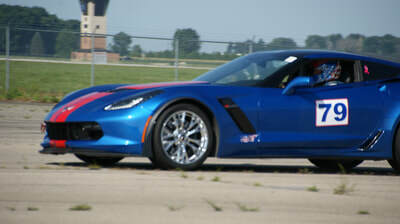 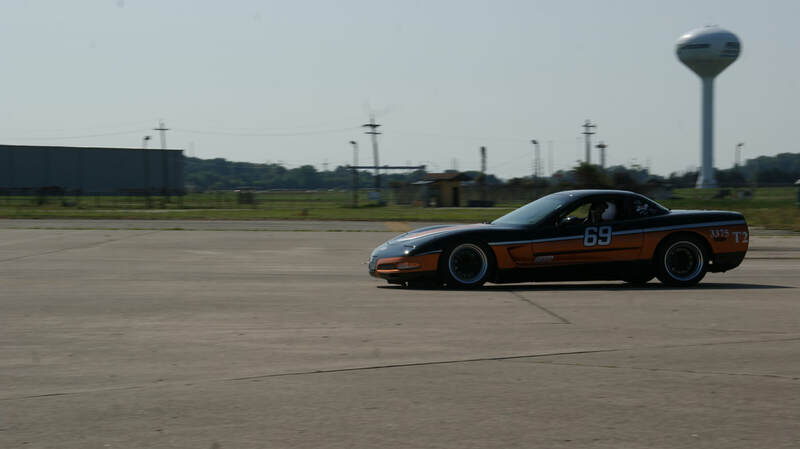 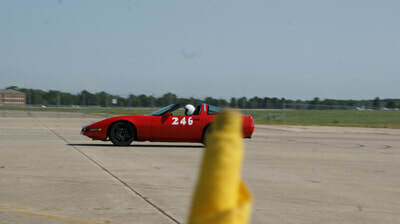 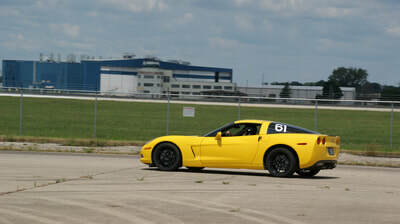 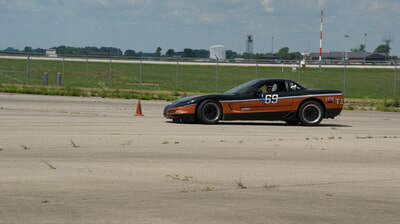 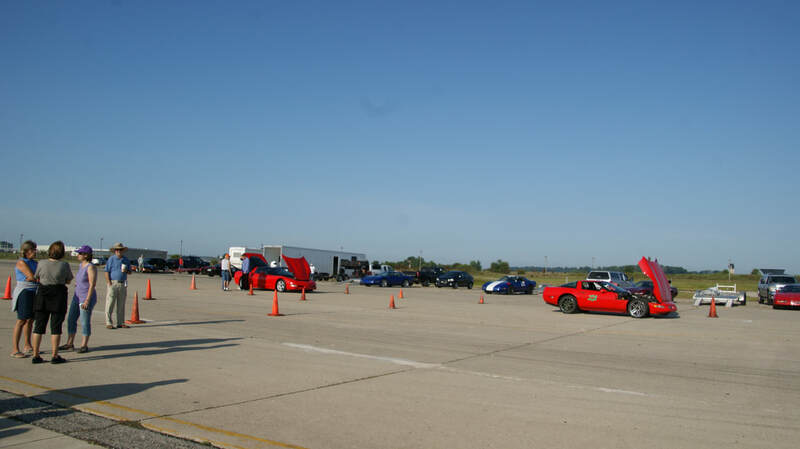 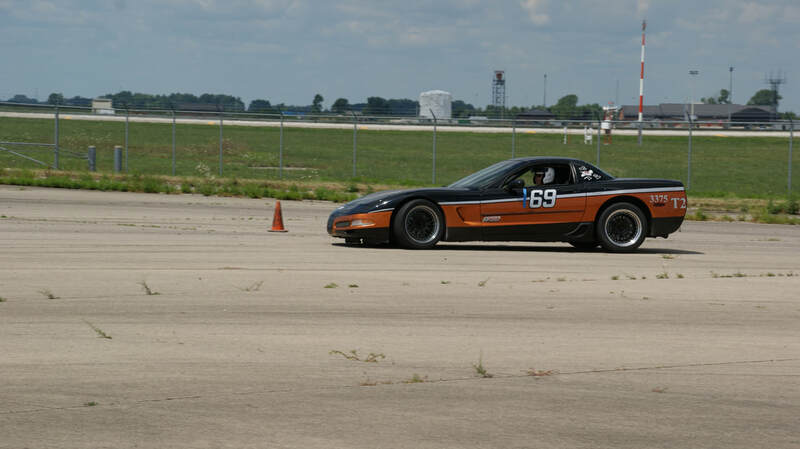 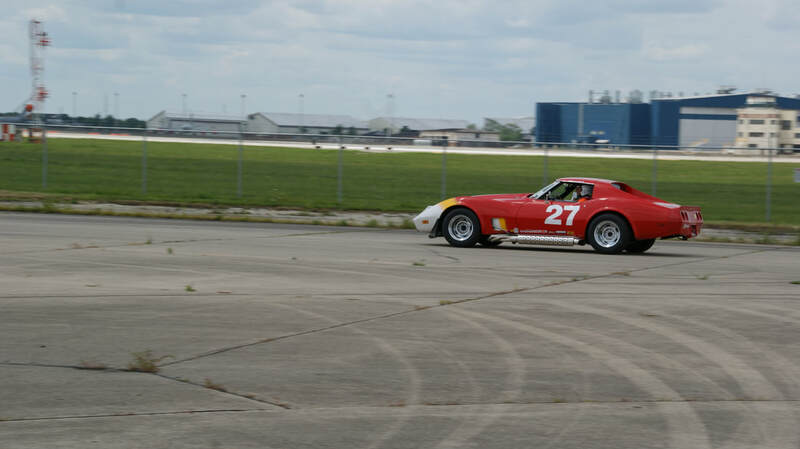 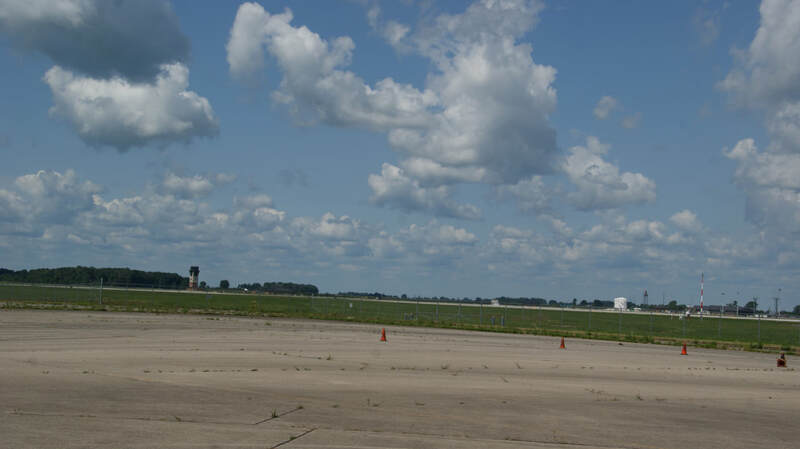 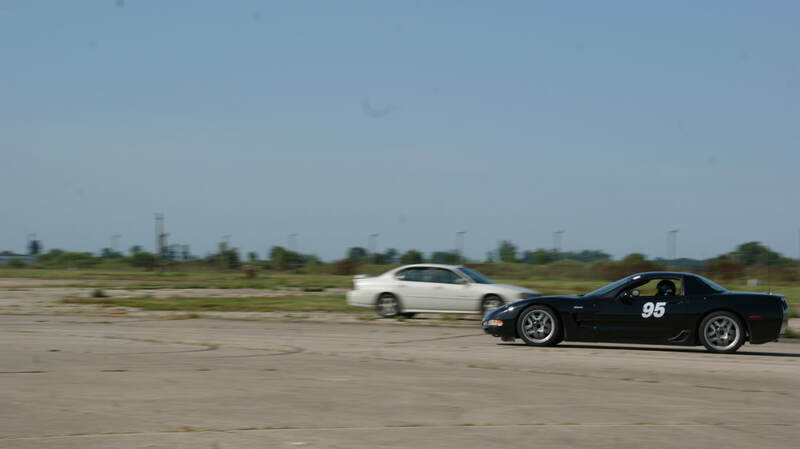 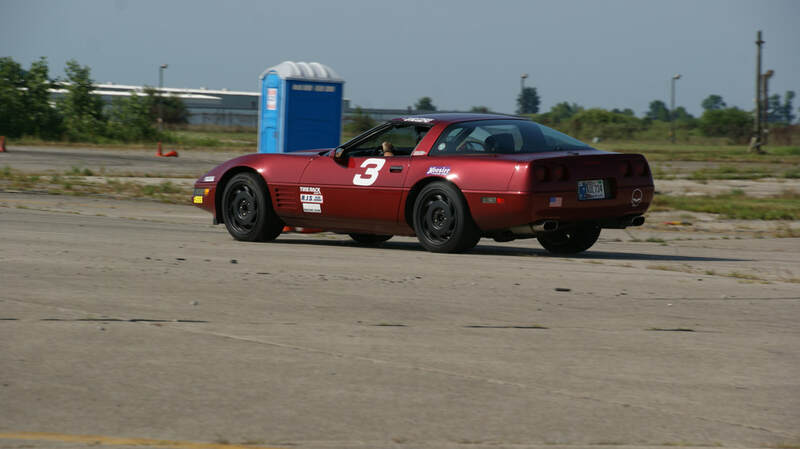 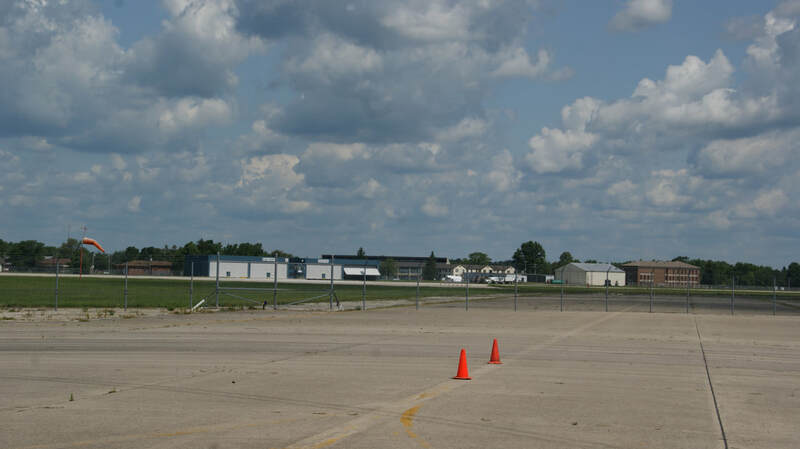 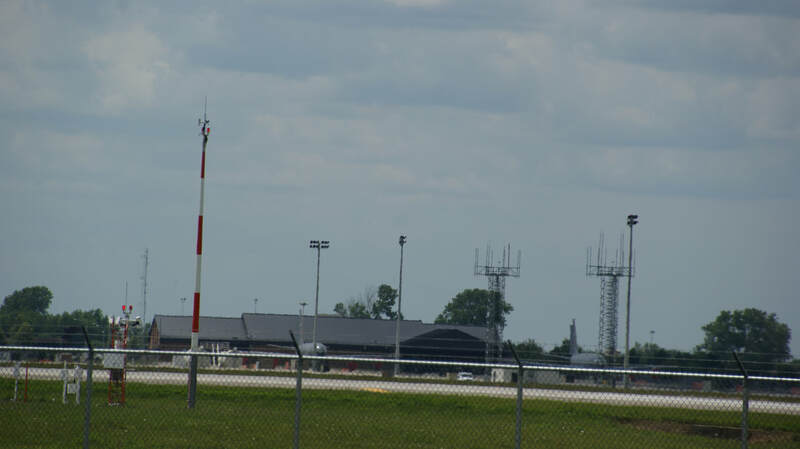 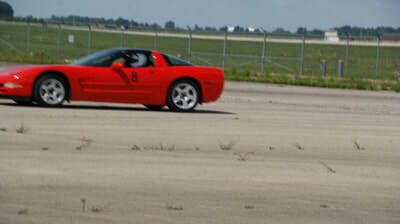 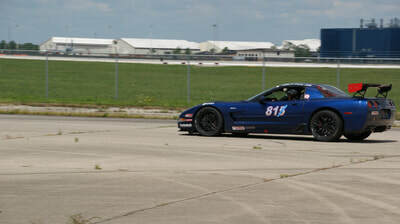 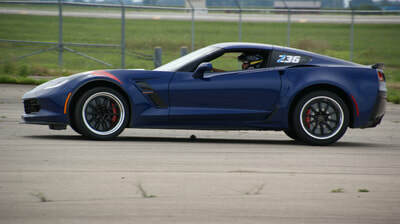 With last year's Indy Airport parking lots no longer available the Hoosier Corvette Club headed to Peru and Grissom Areoplex for this year's autocross events. 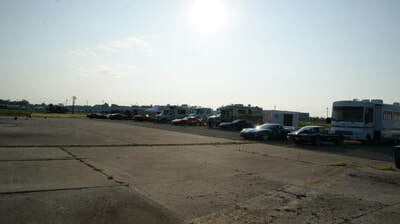 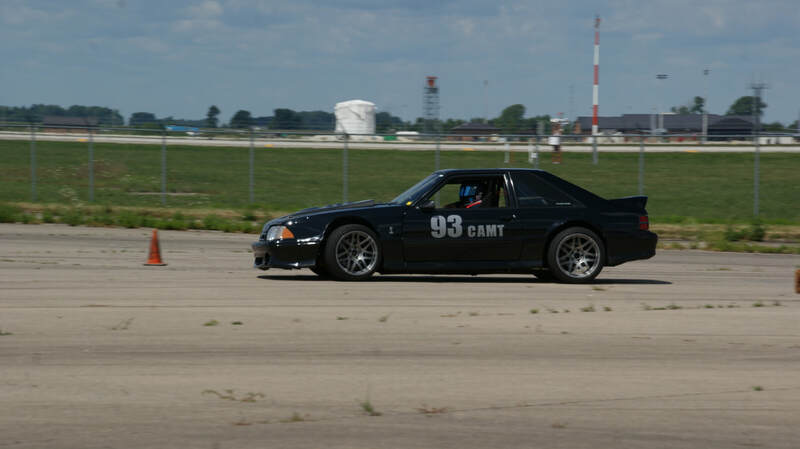 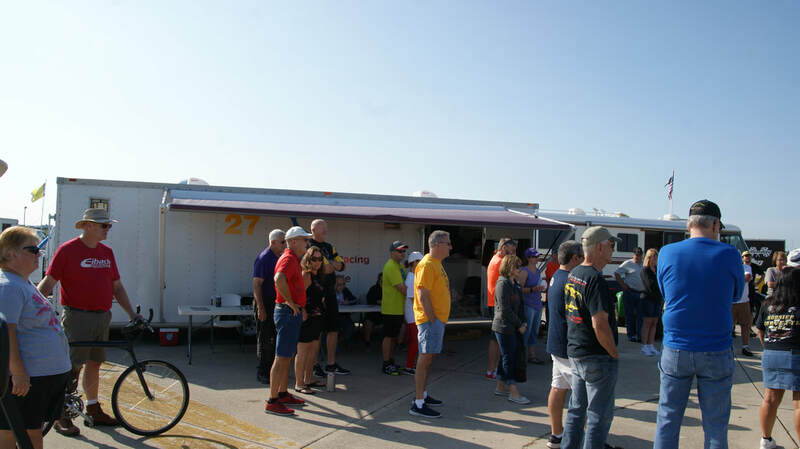 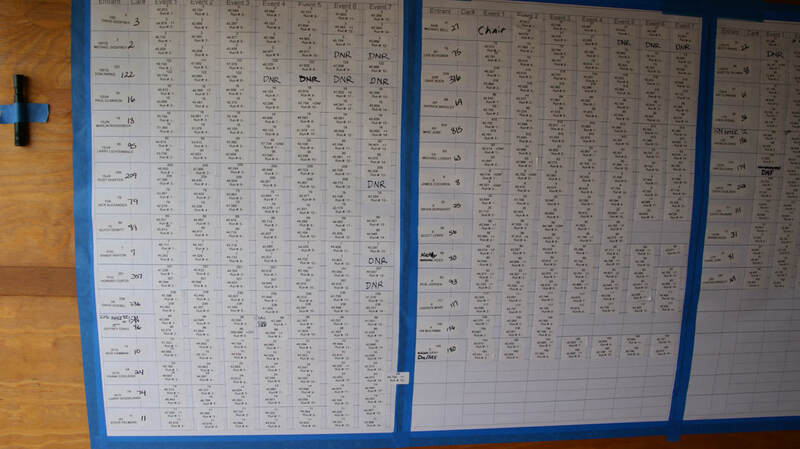 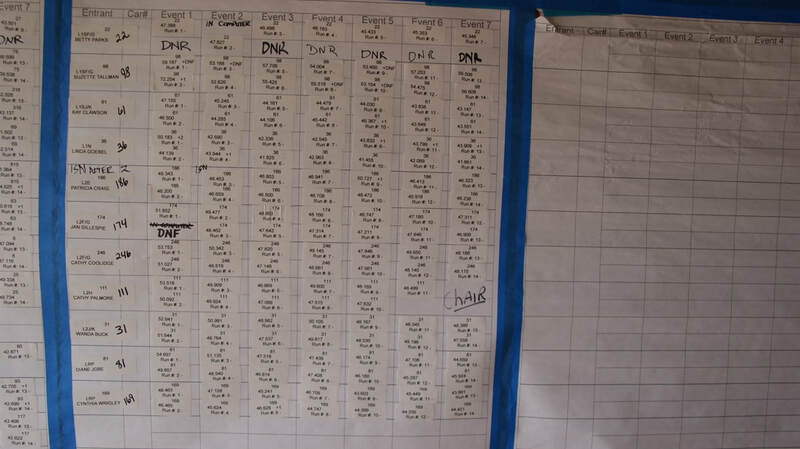 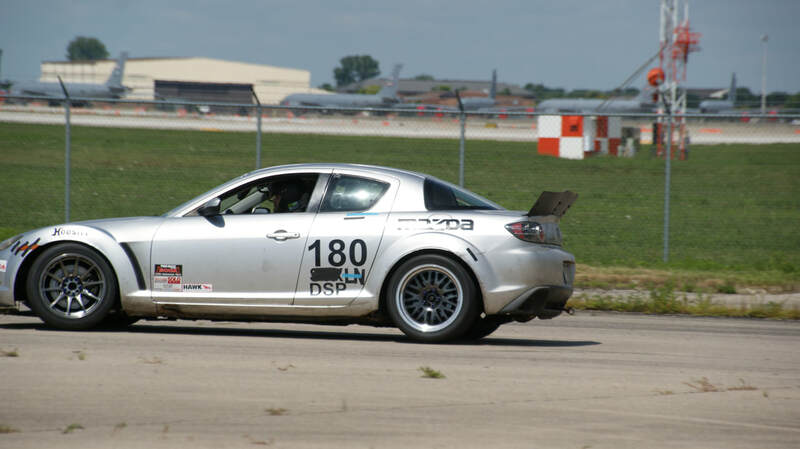 On Saturday they had 42 drivers show up, including a few in metal cars for a full day of competing on what was as beautiful a day that could be had in late July. 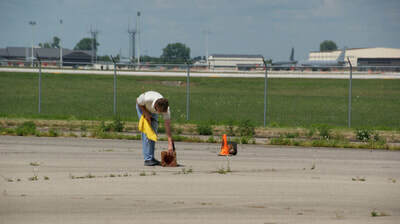 Mike Bell setup what he thought was an open course that 'no cones will be hit', unfortunately the competitors somehow still found them as they made their way around the course. 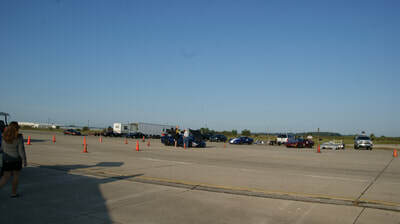 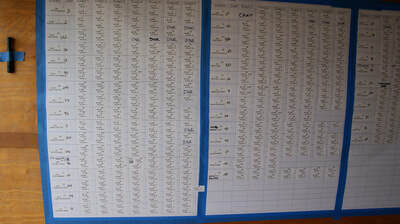 The layout did make for some quick times with several getting into the low 40's and below. 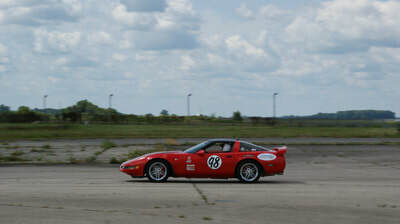 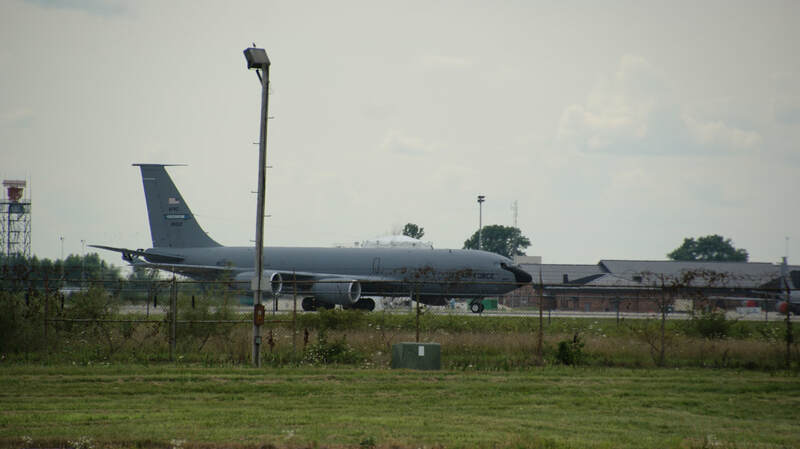 With that number of competitors and just a few timing issues the day was over around 4:30 which was just in time for the evenings pizza party for the competitors and workers that attended it at the Grissom Museum. Most everyone returned for another great day on Sunday.